Unlike wine it is said that when you drink sake, you don't choose which food you are having first and then choose type/brand of sake. 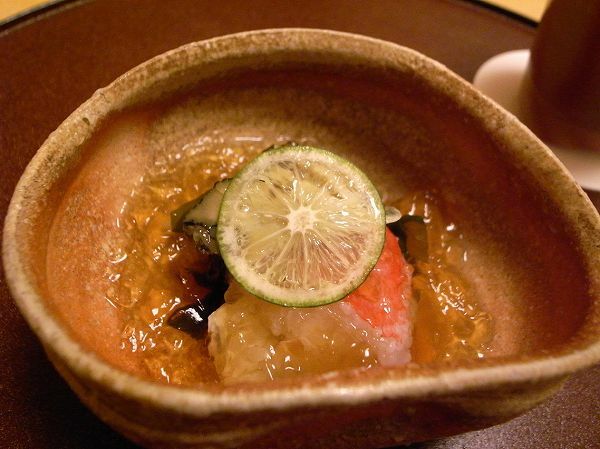 The correct way is to choose which sake you are drinking first and then choose food which accompanies it. 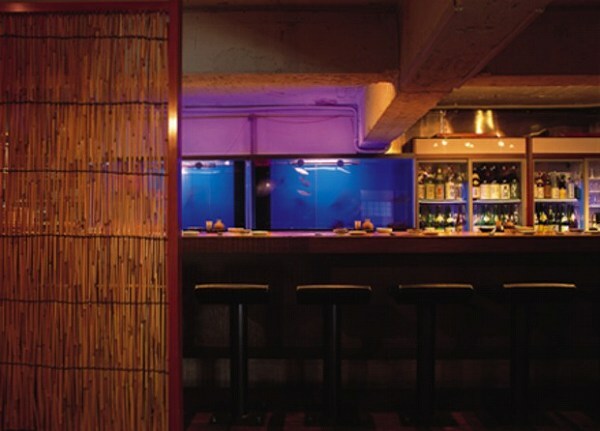 There aren't too many izakaya's which focus strictly on dishes to accompany sake, but SASANO at Roppongi is one of them. 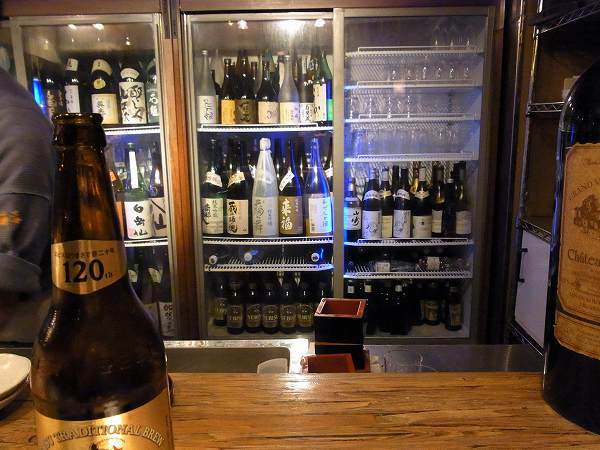 Sasano has a great list of sake from all over Japan. And every dish goes perfect with whatever brand of sake you order. 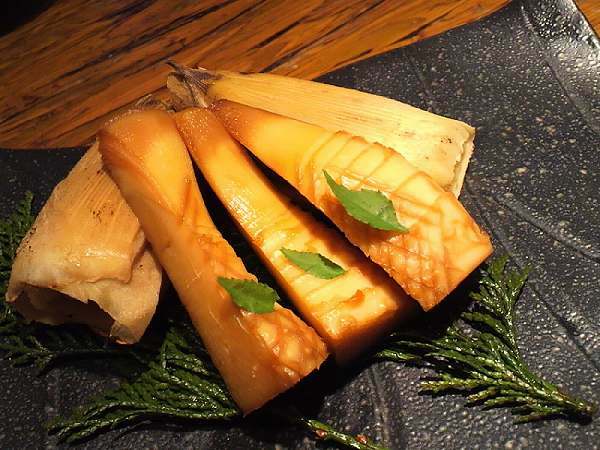 Most sake lovers will first start out with SHIOKARA (Salted fish, squid or seafood). 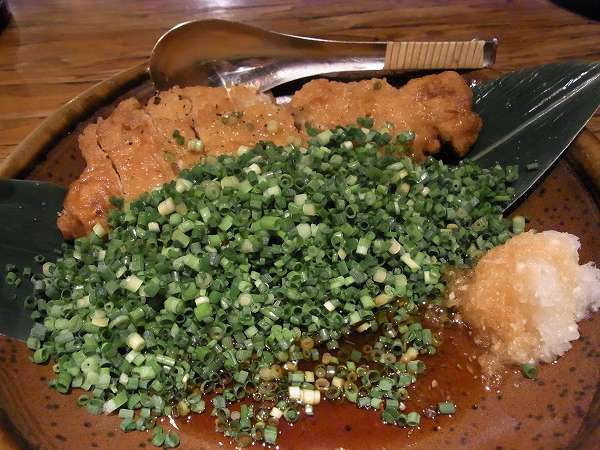 One of their specially and my favorite is NEGITON (Tonkatsu with scallions on top in ponzu sauce). Its not as heavy as a normal Tonkatsu. 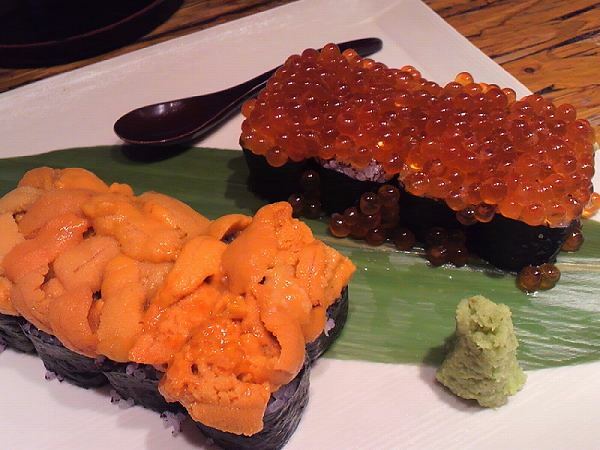 And the most popular dish is UNIKURA (Sea urchin & marinated salmon roe sushi). 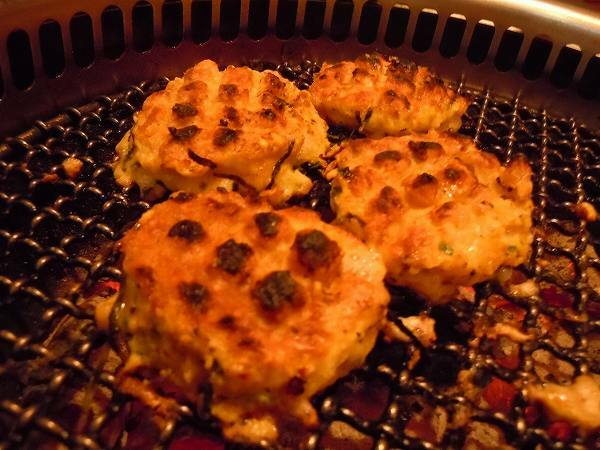 SHIRAKOYAKI (Grilled cod soft roe) is another dish which matches perfectly with sake. 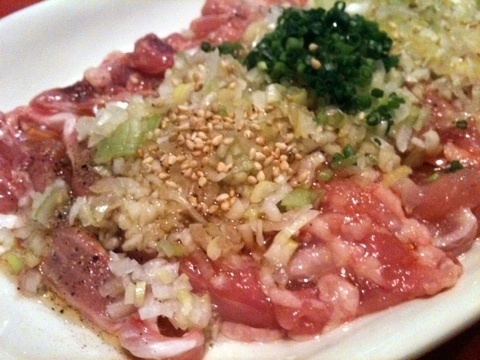 rice bowl's like HONMAGURO NO ZUKEDON (Marinated tuna sashimi over rice) is available. 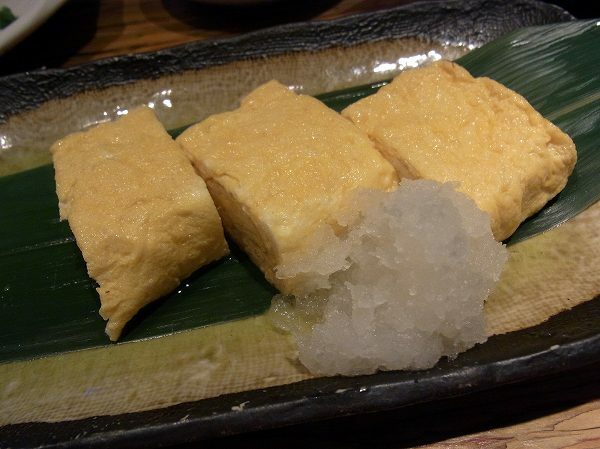 Dishes like DASHIMAKI TAMAGO (Egg Omelet). 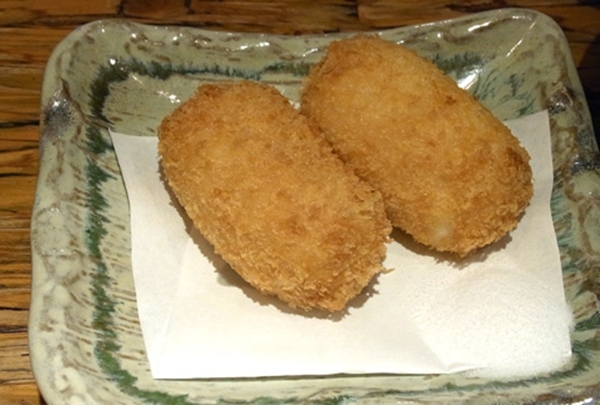 KANI CREAM KOROTKE (Cream with crab croquette) are available all year around. Sasano is located on the 2nd floor of an old building close to Tokyo Midtown. 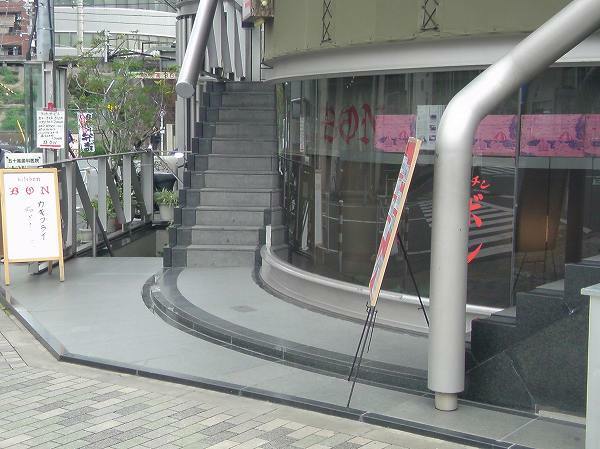 The building might be old, but restaurant itself is Japanese modern. The owner use to work at American Express, so he does speak English and even though there isn't an English menu just ask for him and he would recommend on what to drink and order. Some of the dishes are reasonable and some are expensive. 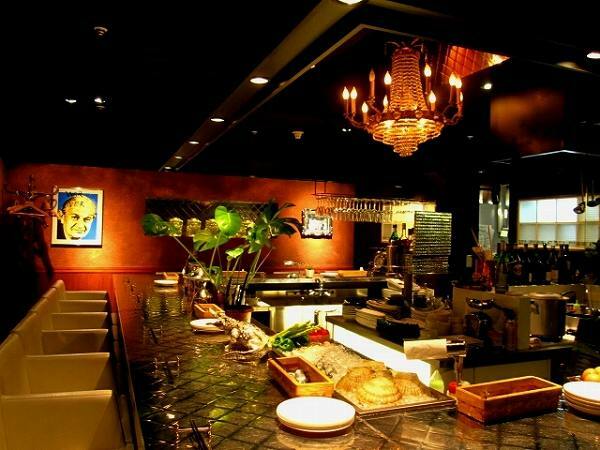 As long as you don't order expensive sake only and too much fresh sashimi from the fish tank, you should have a great night here. 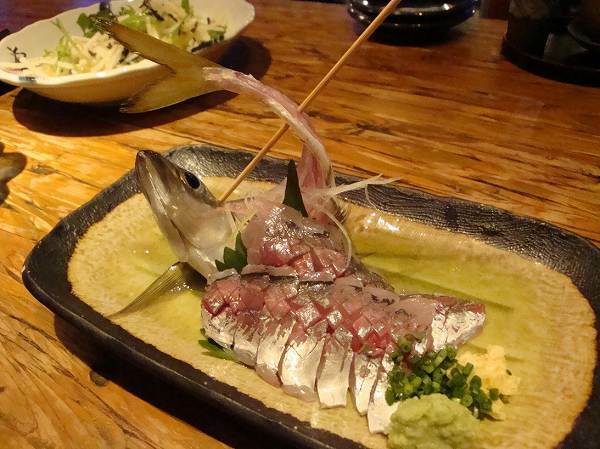 Also, if you don't enjoy fish, you might want to try another izakaya, not Sasano. 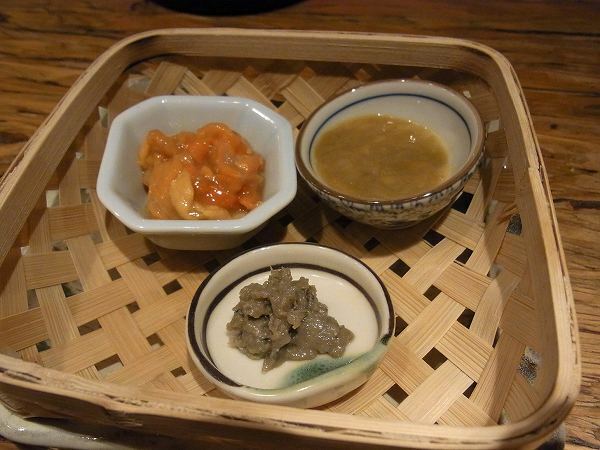 But if you enjoy food which goes great with sake, Sasano is for you. 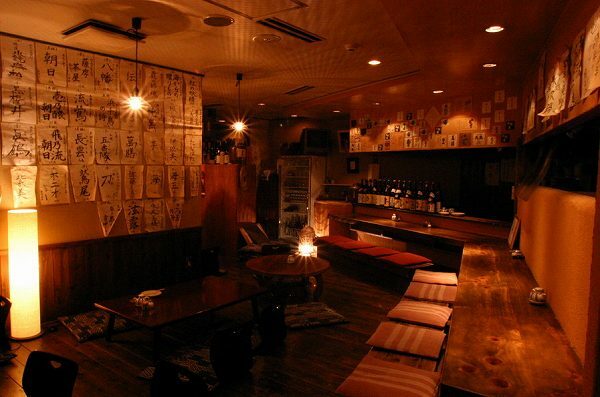 This restaurant is probably my favorite restaurant in Shibuya. 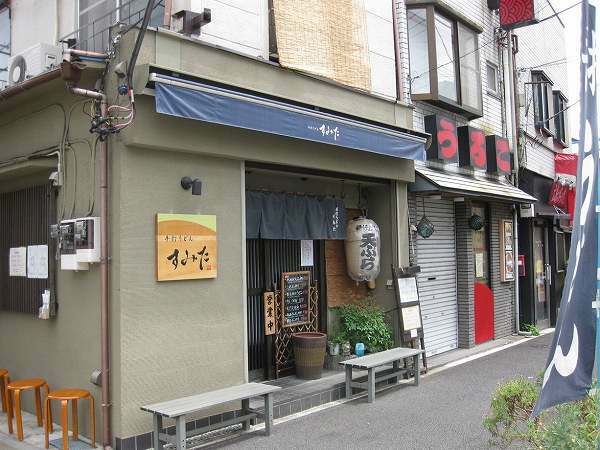 They mainly serve chicken bbq (not yakitori) and if you book at least a day in advance they have a great nabe which is one of a kind. 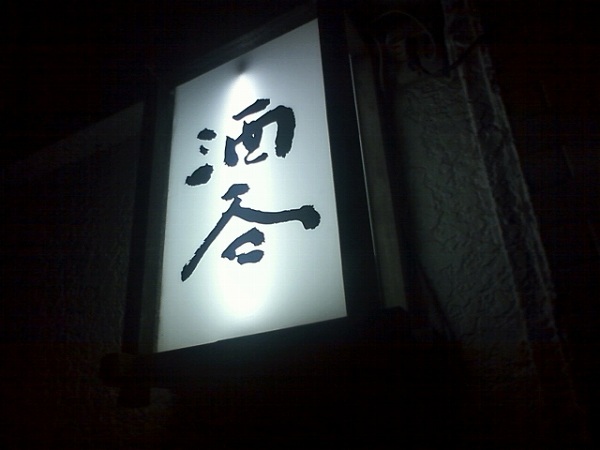 The name of the restaurant is ONITEI in Shibuya. 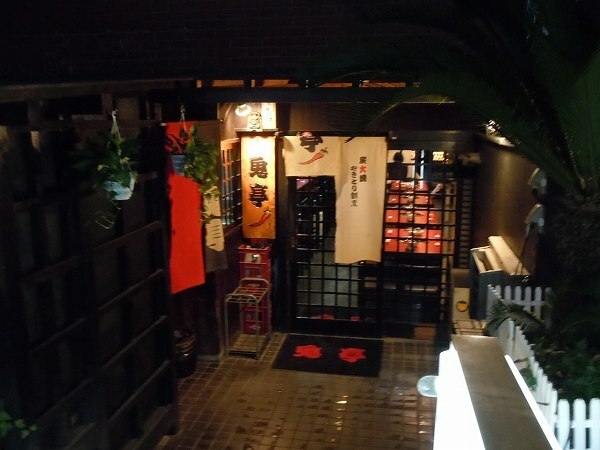 You need to make a reservation to get a table at Onitei which is pretty small. If you are a party of 6, you'll be squashed in a table which is suitable for actually 4. 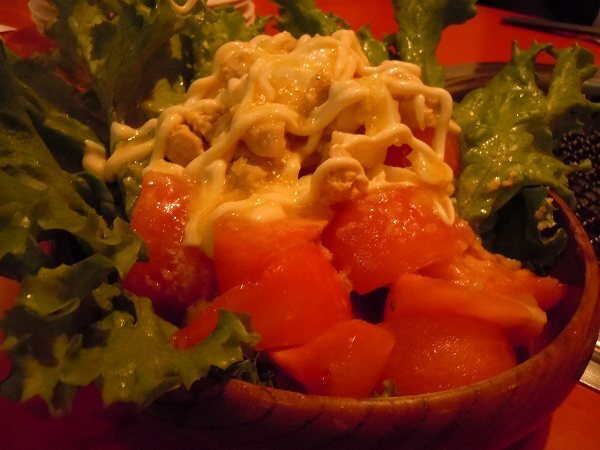 You wanna start out with ONITEI SALAD, which is basically a chicken mayo salad and then move to chicken BBQ. 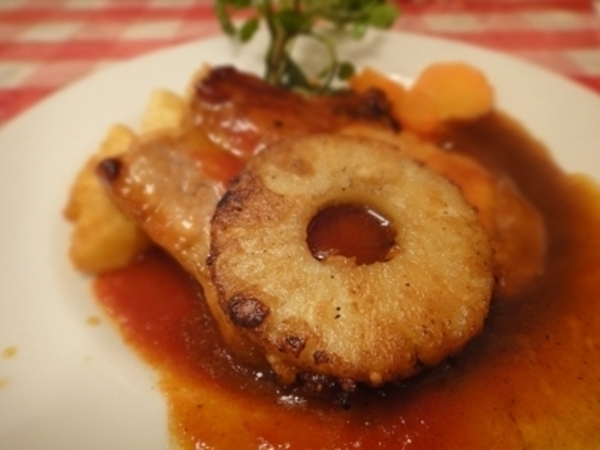 Vairous parts of the chicken are available and also it could be served in different sauces as well. Most of the sauces are a original of Onitei and not available anywhere else. 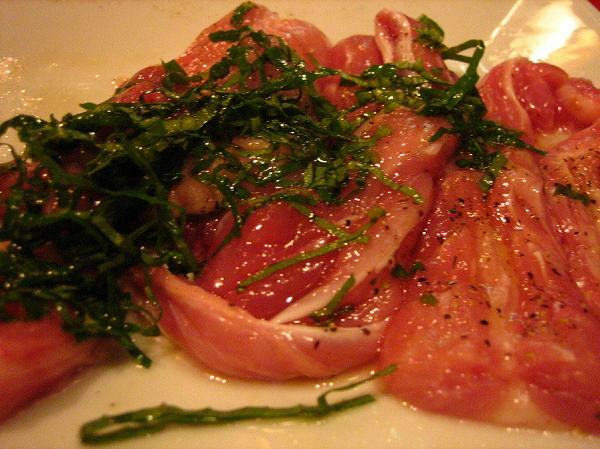 What I usually do is order 3-4 chicken BBQ dishes starting out with MOMO NO KOHSOYAKI (Thigh meat with herbs). Grill the thigh meat which is marinated with dill and when its done dip it in a olive oil sauce, which has garlic & herbs in it. This sauce will be warmed on the grill as well and once it comes to a boil you take it off the grill. If you are a first timer, the waitress will explain everything to you. 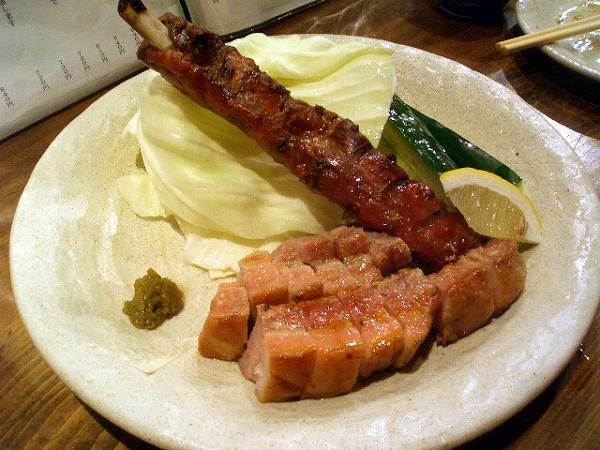 Next is NECK NO NEGISHIO (Neck meat with green onion & salt). 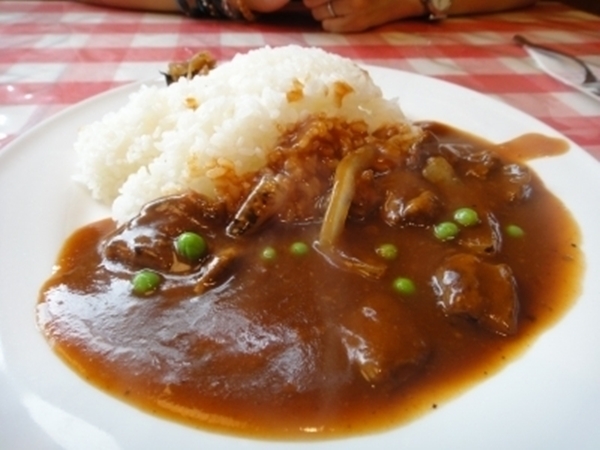 The sauce over the neck meat is made out of green onion, sesame, salt and sesame oil. You mix it up with the neck meat before you grill it. 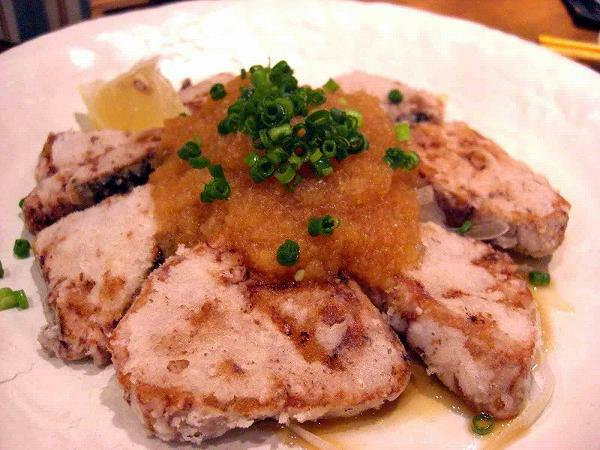 A favorite to almost everyone is TSUKUNE (Minced chicken meat). Don't know what all the ingredients are but its not your ordinary Tsukune. My favorite way of having it is with Wasabe on top. 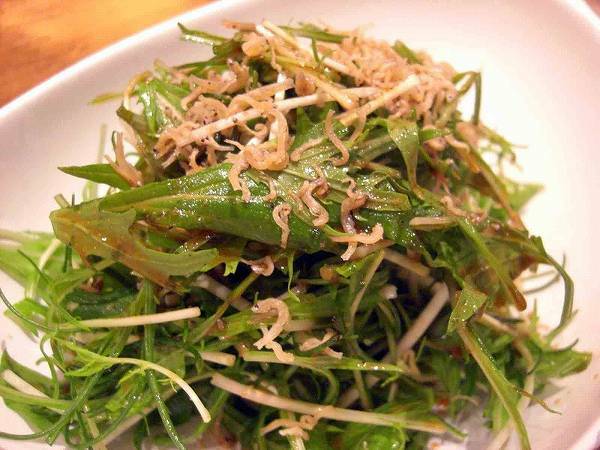 You can also have it will herbs are as well, but in my opinion it goes better with Wasabe. 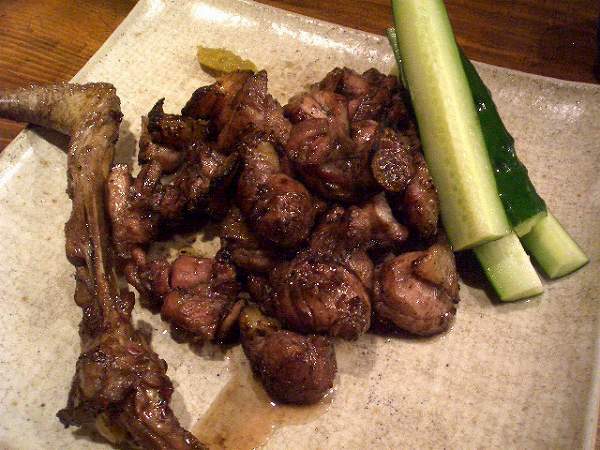 They also have meats like SUNAGIMO (Gizzard). 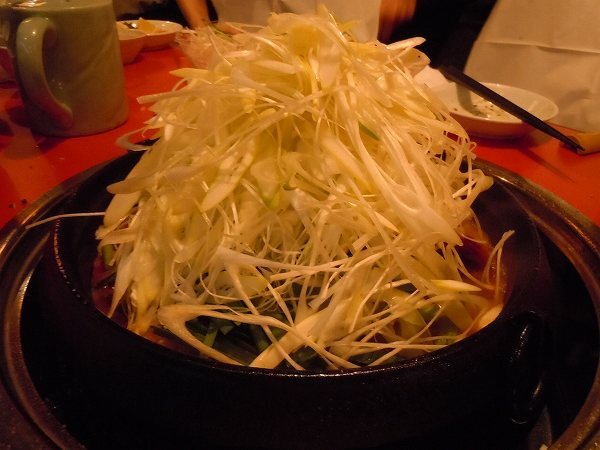 If you did make a reservation at least a day in advance, you have to order their special nabe (hot pot), ONITEI NABE. 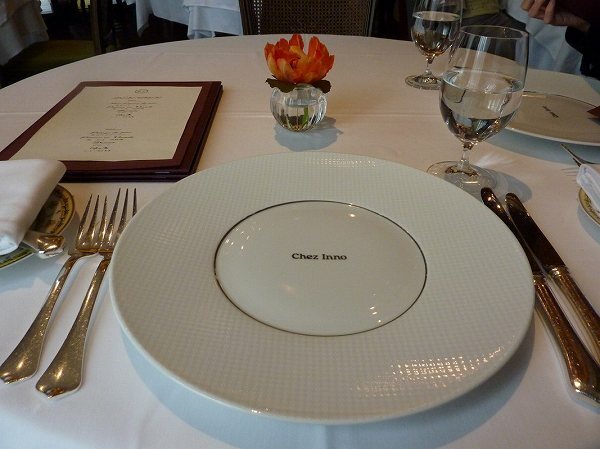 When you do make the reservation you need to tell them you want to have this. What's in it is various vegetables, chicken and pork belly. The minimum order is for 2, which is the above for 5,600 yen and it is huge. I always go with 4-6 people and we just order for 2. First, the chef/owner will come by and prepare it for you. 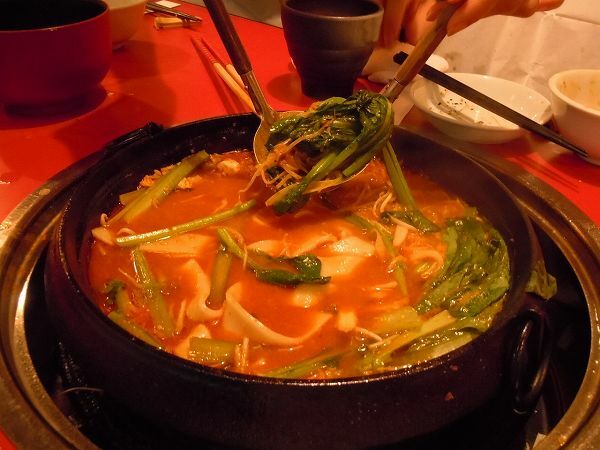 He will cook the meat first and then add the soup stock, which is a chicken based stock with chili pepper added to it, and then green onions will be added on top like you see in this picture. When the green onions shrink, its ready to eat. When you are done with vegetables and meats, you add the noodles to finish it. 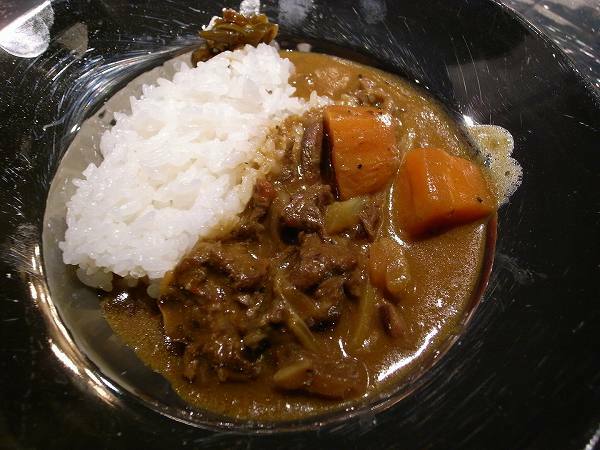 But if you are still hungry, you can add rice to is as well and make OJIYA (Rice gruel) like other nabe's. 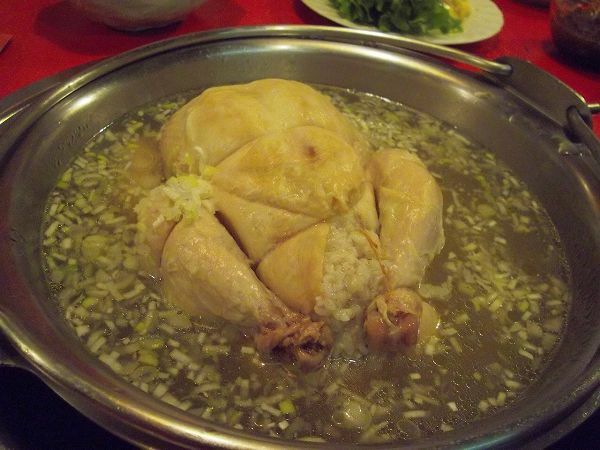 Besides Onitei Nabe, there is SAMGYETANG (Whole Chicken in Chicken Soup with sticky rice inside). This is delicious as well, but you can have this at Korean restaurants since this is a Korean dish and probably get the real deal instead of a Onitei version of it. The chicken they use are super fresh, not only the ones that I mentioned, but various parts are available and also the BBQ could be served in different sauces as well. Most of the sauces are an original of Onitei and not available anywhere else. If you didn't book a day in advance and not order Onitei Nabe or Samugetan, they have other dishes you can order when you get there, but I strongly recommend to reserve a few days in advance and order Onitei Nabe. 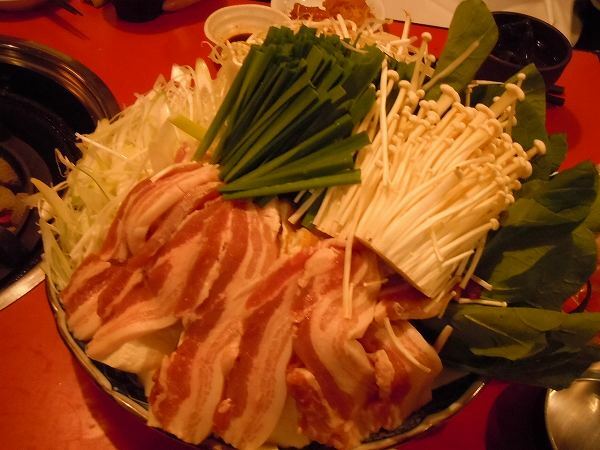 Its one of the top 5 nabe's I ever had. 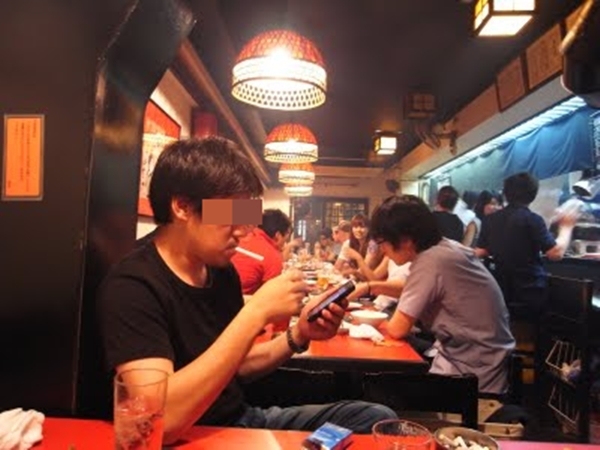 There are a couple restaurants/bars which I didn't want to introduce here or even to friends since they were never covered by any media and wanted to keep them as my secret place. 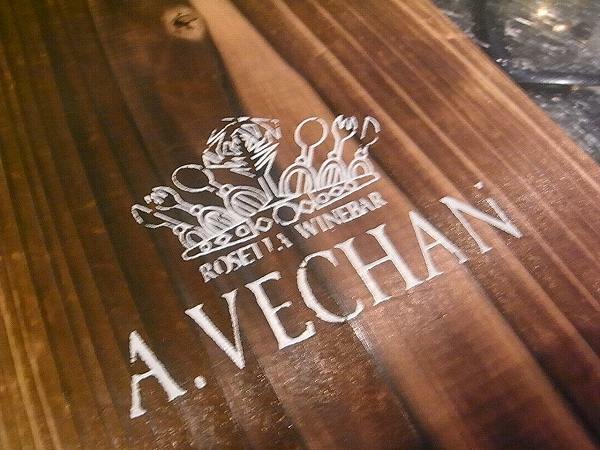 One of them was ROSETTA WINE BAR A，VECHAN at Meguro, but since it was introduced on a prime time TV program last week, its no longer a hidden gem and will become one of the most popular wine dining/bar in Tokyo very soon. 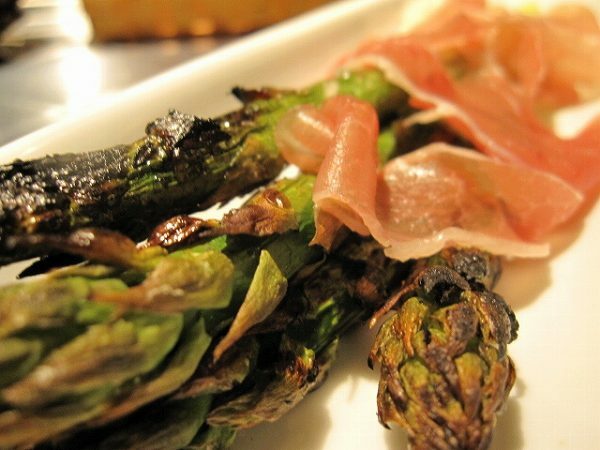 Why did I want to keep Rosetta Wine Bar A, Vechan a secret? 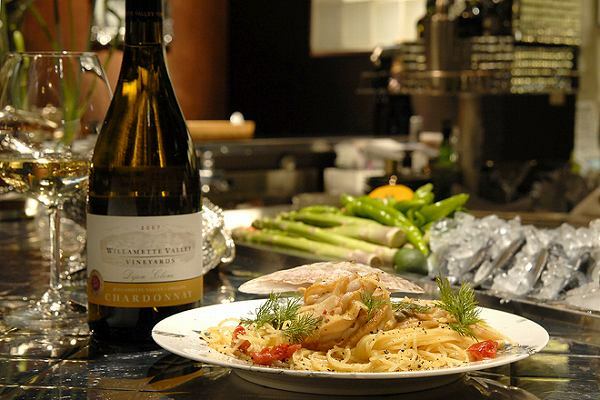 It's not only the variety and reasonably priced wine, its also the food and number of seats they have. 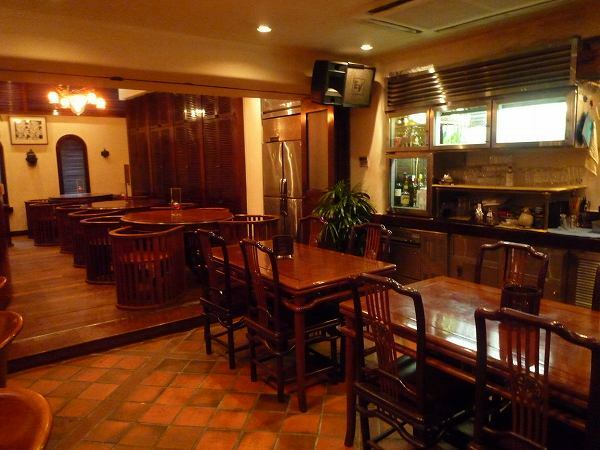 Before opening Rosetta Wine Bar A, Vechan, the owner owned an Italian restaurant in Ebisu for 13 years called Rosetta. But he wanted to open a joint more focused on wine. Therefore, he decided to provide all dishes at a very reasonable price. 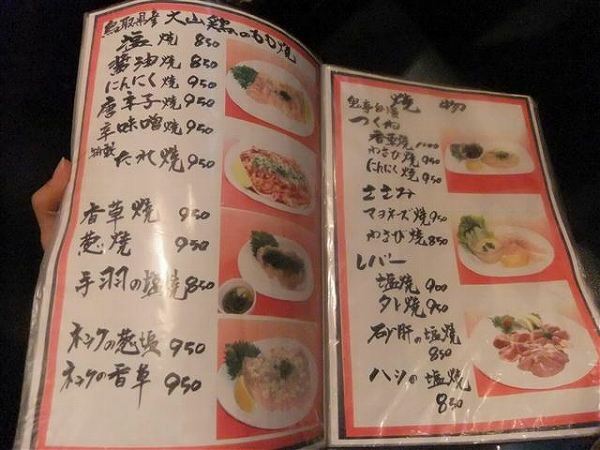 All dishes are either 500 or 1,000 yen. Yes, 500 or 1,000 yen. 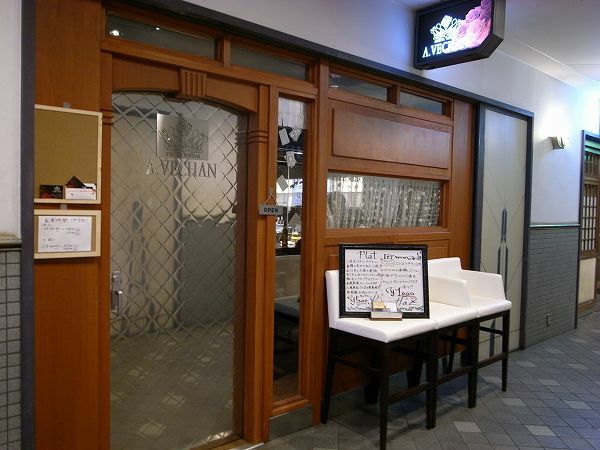 A bottle of wine starts at 2,000 yen and if you wanna try the high end they have bottles around 50,000 yen plus as well. I would strongly recommend to order a bottle instead of a glass of wine, if you aren't by yourself. A glass of wine is 700-1,500 yen. they have good selection of seafood and what's available depends on the day, but during the fall dishes like SANMA NO KOHSOHYAKI (Grilled saury with herbs & tomato sauce) are great. 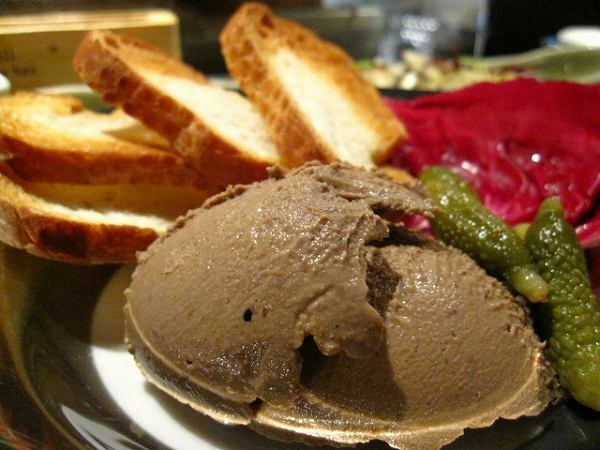 Cost performance wise I've never been to a better wine bar than Rosetta Wine Bar A, Vechan. 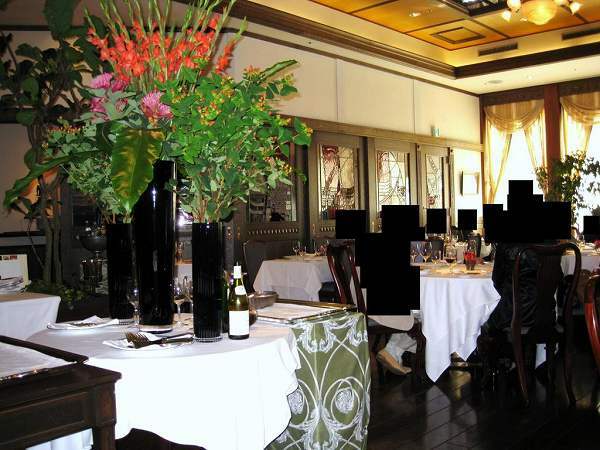 It only has counter seats, no tables, and its probably even more difficult to make a reservation now since its been on a famous prime time TV program. But they just opened another place only a few minutes away called ROSETTA PESCHERIA. So if you can't get a seat at Rosetta Wine Bar A, Vechan ask them for the number of Rosetta Pescheria and see if they have any seats available there. Also, both wine bars won't allow any customers to dine unless you drink wine. There is even a big sign in front of the door which mentions this. 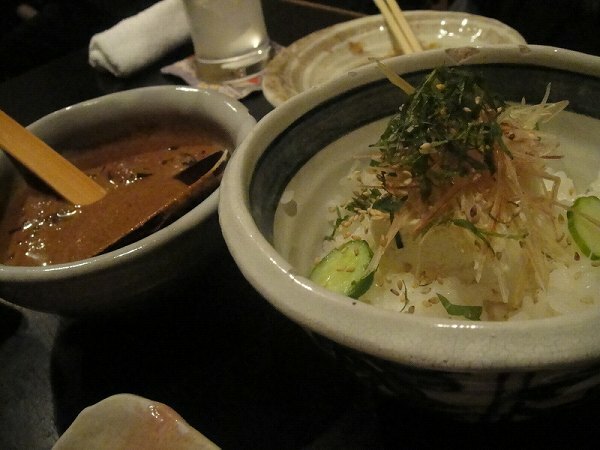 Even though there are many Kaiseki restaurants in Tokyo, there aren't too many that will go par with the one's in Kyoto. 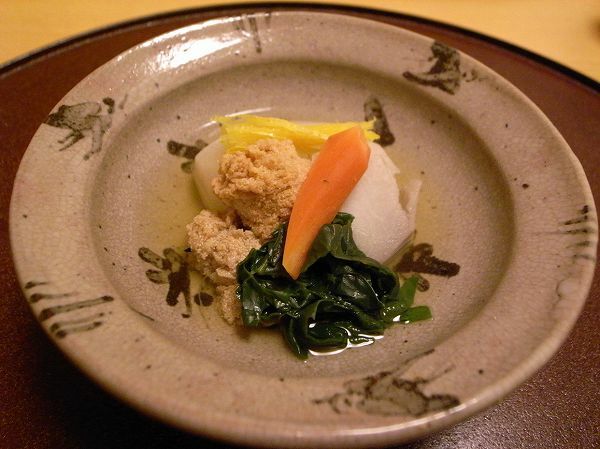 Since people in Tokyo like their food saltier than Kyoto/Kansai people many of the Kaiseki restaurants in Tokyo are saltier as well, which is unacceptable to true Kaiseki freaks. But if you did provided food exactly like Kaiseki restaurants in Kyoto, I don't believe many Kaiseki restaurants will survive. 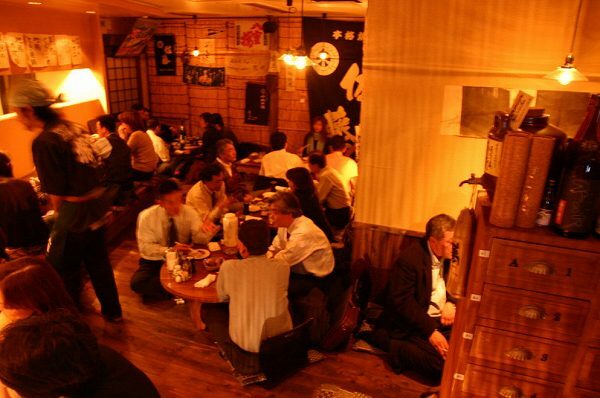 One of the few restaurants that comes somewhere between this is KOJYU at Ginza. 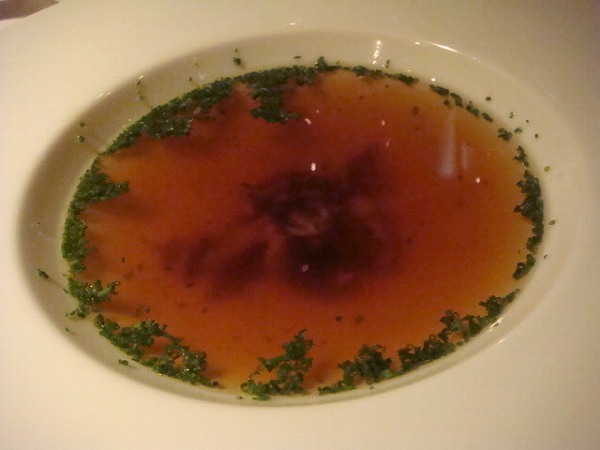 and AWABI TOH TARABAGANI NO SUZERII (Abalone & king crab with vinegar flavored jelly). Both of these were light, delicate and refreshing to start out the meal. Next is Owan (soup). It is considered that Owan will tell you how good the chef is. If the Owan isn't good, it means that the rest of the meal won't be good as well, but if it is, you can expect the rest of the meal to be good. 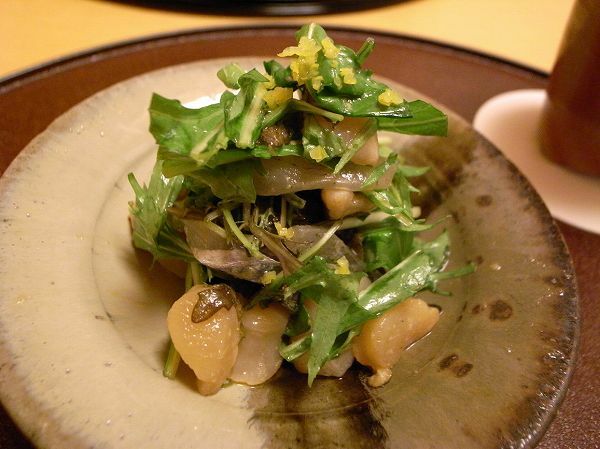 Owner/Chef Okuda's Owan has never disappointed me. The above is MADAI NO NYUMEN (Red snapper with somen noodles in dashi). 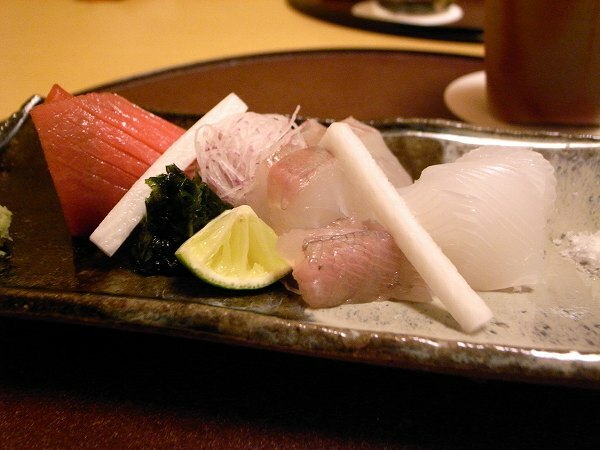 Otsukuri (Sashimi) comes next. 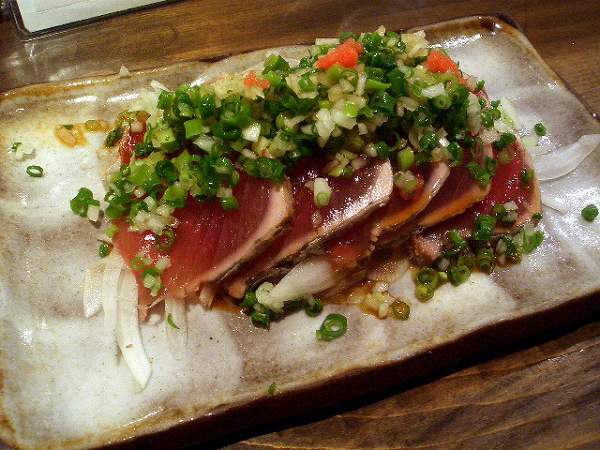 Tuna from Ohma, Flounder from Johban, and Oval Squid from Naruto was Otsukuri for this night. 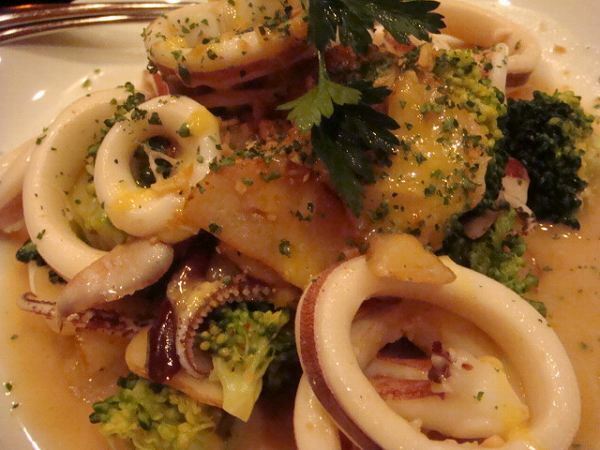 Of course it was fresh, but the squid was so sweet that I had to ask chef Okuda how he prepared it. 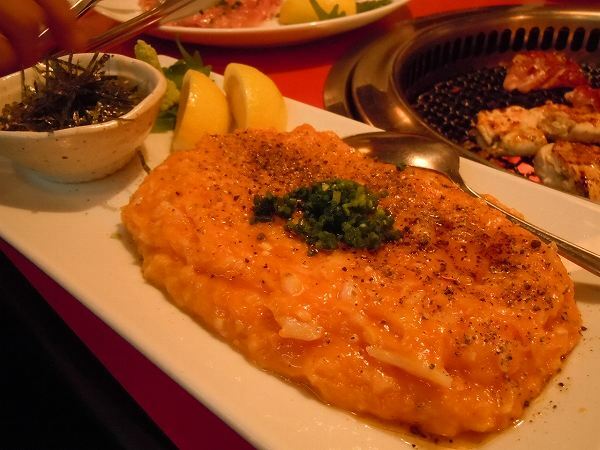 Next will be Yakinomo (Broiled fish & meats). 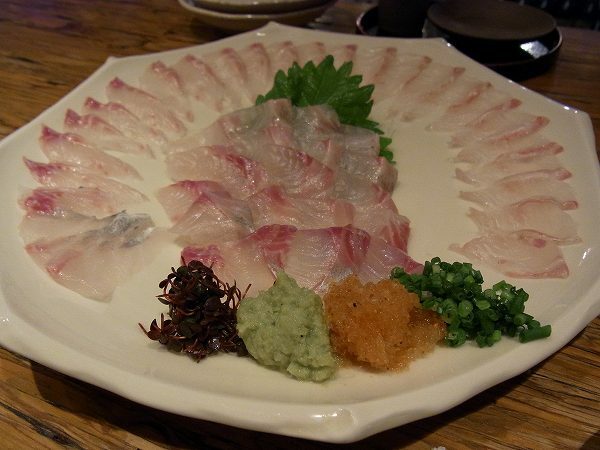 and AMADAI NO SHIOYAKI (Broiled tilefish with salt). 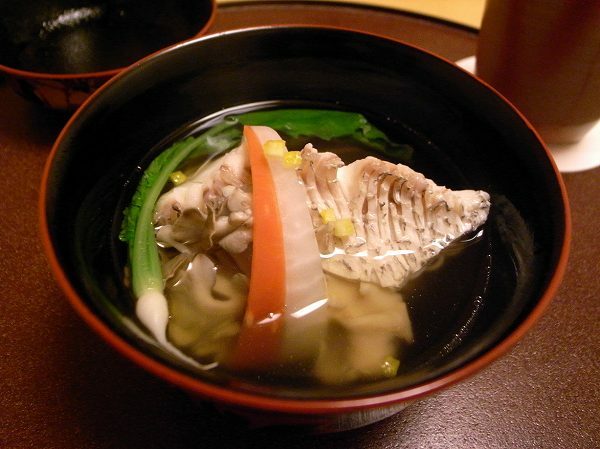 Nimono (boiled food or stew), which was TARA NO KO TOH YASAI NO TAKIDASHI (Cod row & various vegetables boiled in a dried bonito/kelp based broth). This was as good as the Owan I had this night. Next is Shokuji (Rice). It seems like most rice dishes could be made at home, but even if you purchase the same ingredients and cook it the same way, it just doesn't come out the same. This night it was KANBURI NO TAKIKOMIGOHAN (Rice cooked with yellowtale & vegetables). It comes with AKASASHI (Dark miso soup) as well. 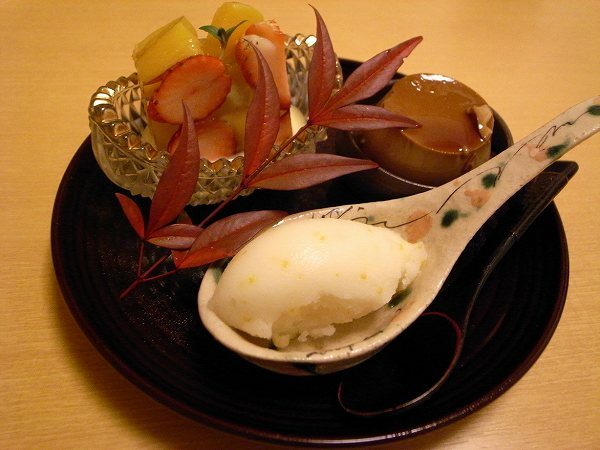 And finally is the dessert, which was fruit jelly, Uji tea pudding and yuzu sherbet. 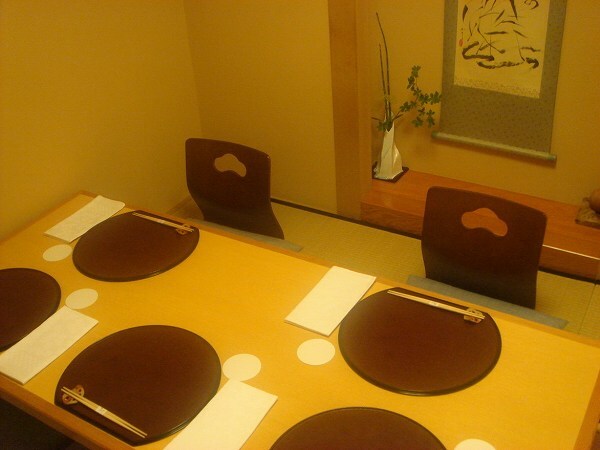 Ever since Kojyu was awarded 3 stars from Michelin, its been difficult to get a table. 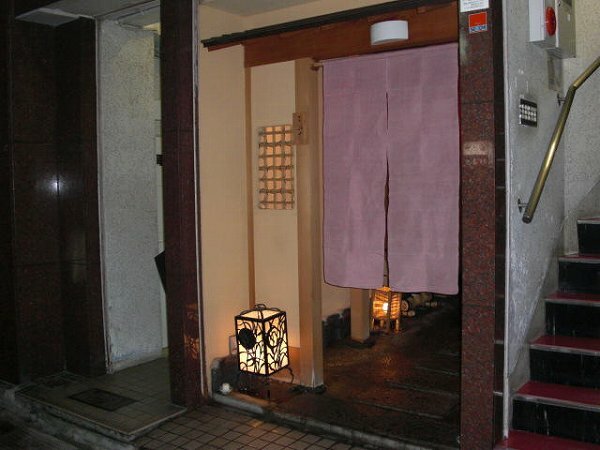 It is now known as the smallest 3 star restaurant in the world (meaning least number of seats). 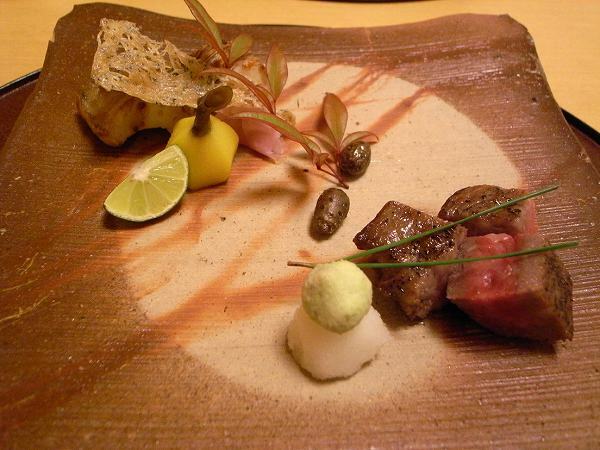 I don't know if its a 3 star restaurant, but its definitely one of the reasonable and good Kaiseki restaurants in Tokyo. 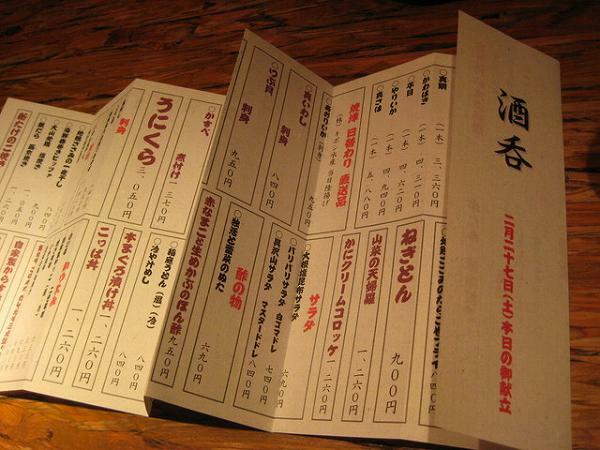 They have a decent wine list for a Kaiseki restaurant and prices are reasonable as well. 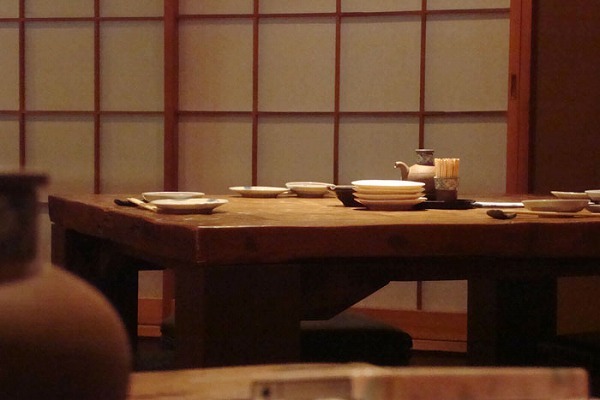 If you want to have typical Kyoto Kaiseki food, you might wanna go to one in Kyoto, but for reasonable Kaiseki food in Ginza, I strongly recommend adding Kojyu on your list. 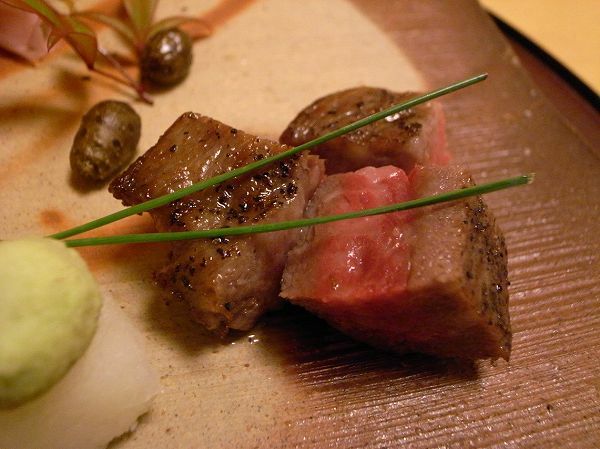 And yes, 15,000-25,000 yen is reasonable for Kaiseki in Ginza. 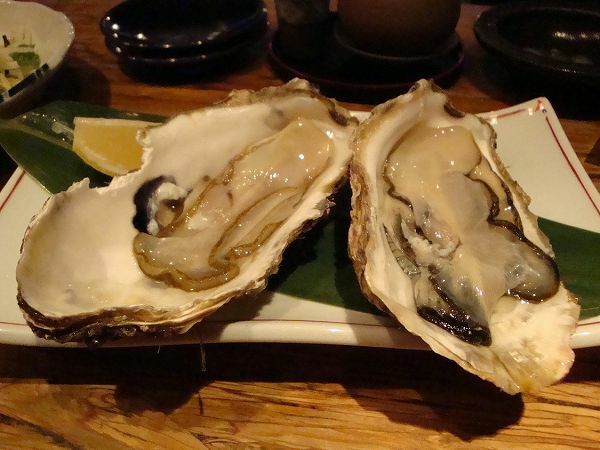 In my opinion Michelin's Tokyo restaurant guide is a joke and most of my friends who enjoy eating everything and willing to spend whatever it costs for a great meal will all agree with me. 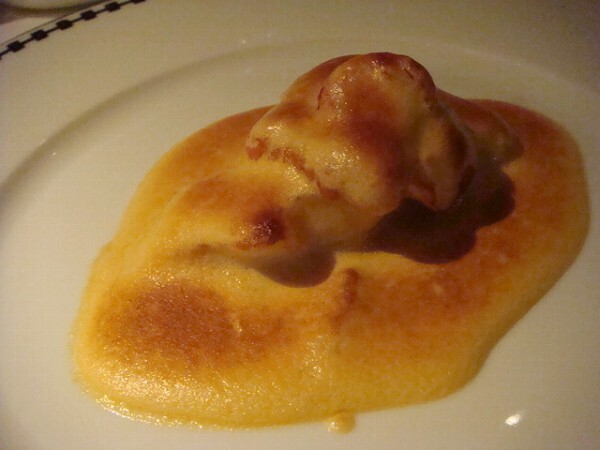 The reason is because most Michelin investigators are 2nd class food journalists, who are connected to the worst and most famous food critic in Japan. Many of the restaurants listed aren't worth a single star and also many restaurants which deserve a star aren't included in the guide as well. 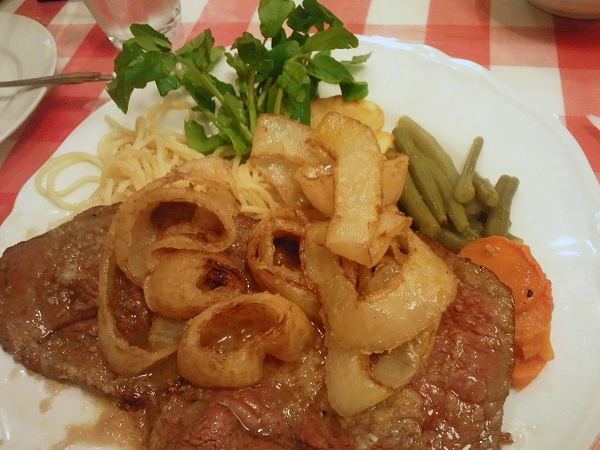 The best classic French restaurant in Japan doesn't even have a star, which is CHEZ INNO at Kyobashi. 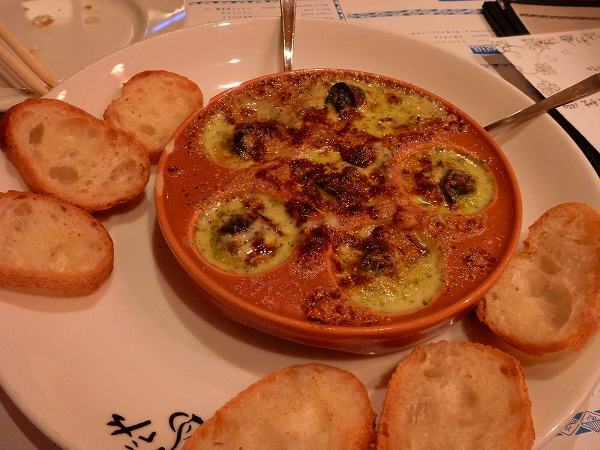 In my opinion, there are only two French restaurants in Tokyo which deserve to be 3 star restaurants. 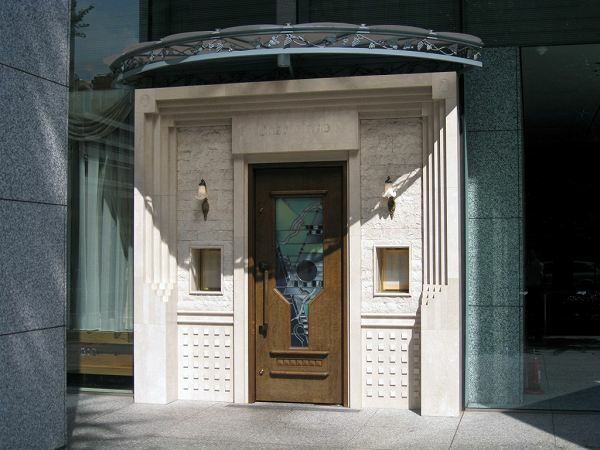 One is the L'osier, which is currently closed until 2014 since they are rebuilding their building and the other one is Chez Inno. 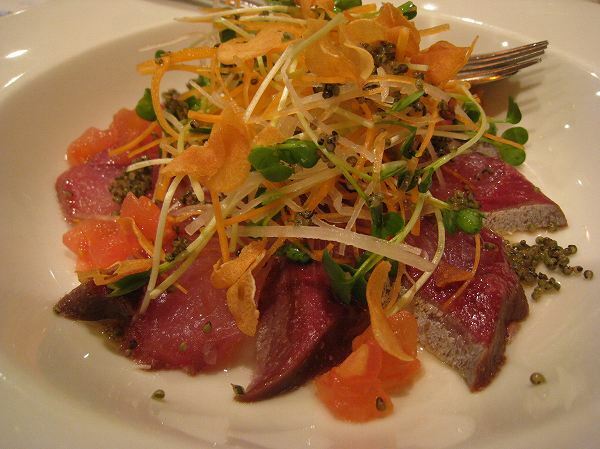 Owner/Chef Noboru Inoue worked at various restaurants in Europe during his 20's. 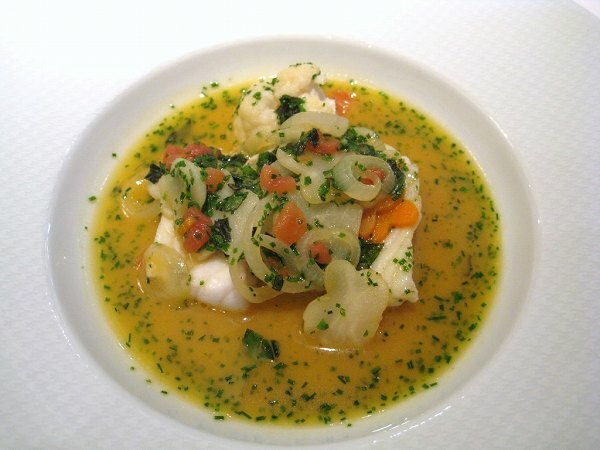 He worked at the world famous Troisgros in Roanne and also Maxim's in Paris. 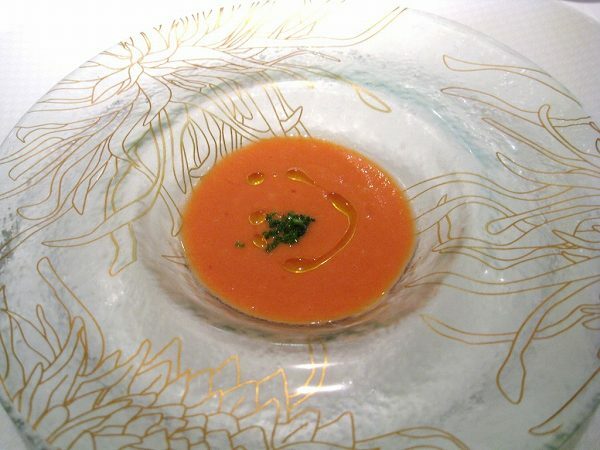 He came back to Japan to become chef of Ginza L'ecrin and then opened Chez Inno in 1984. 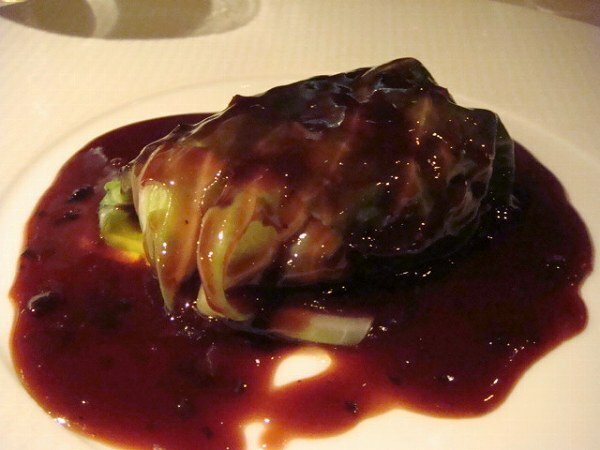 His creations are classical French, not modern or light, but heavy with sauce. 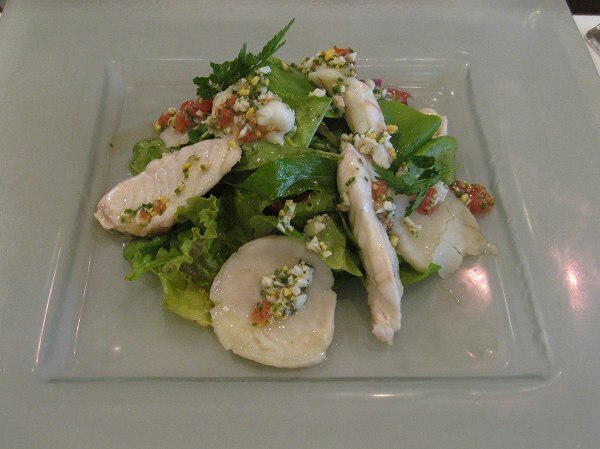 If you really want to have a special dinner at Chez Inno, instead of choosing one of the course menus, I strongly recommend to choose from a la carte menu. 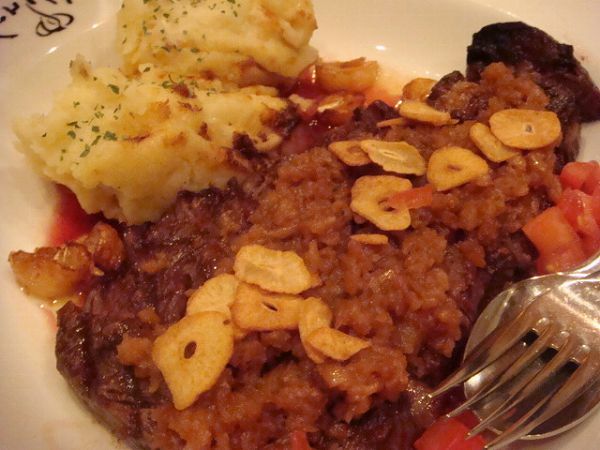 Chef Inoue's most famous creation and specialite is Noisette d'agneau en eroute "Maria Callas" (Lamb Pie Maria Callas Style). 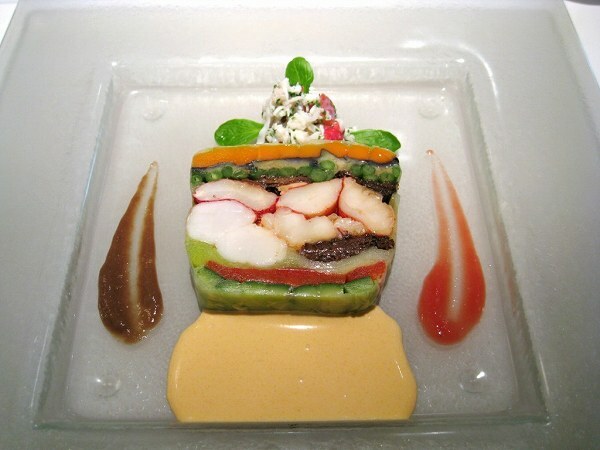 Maria Callas, the late great opera singer was a regular at Maxim's in Paris when Inoue was working there and he was inspired by her to create this dish. 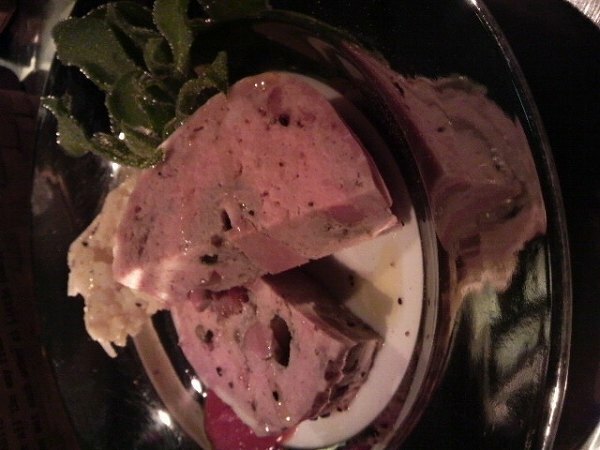 It has Foie Gras in the middle and truffle sauce just matches perfectly. 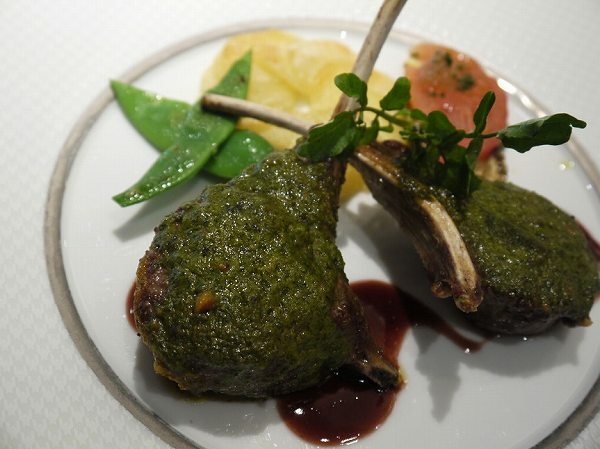 It's one of my favorite main dishes of all French restaurants I've been to even though I'm not crazy about lamb. 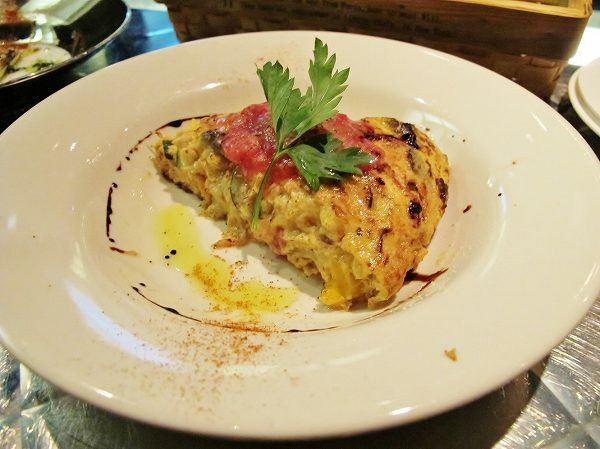 And if it's your first time at Chez Inno, you must try it. 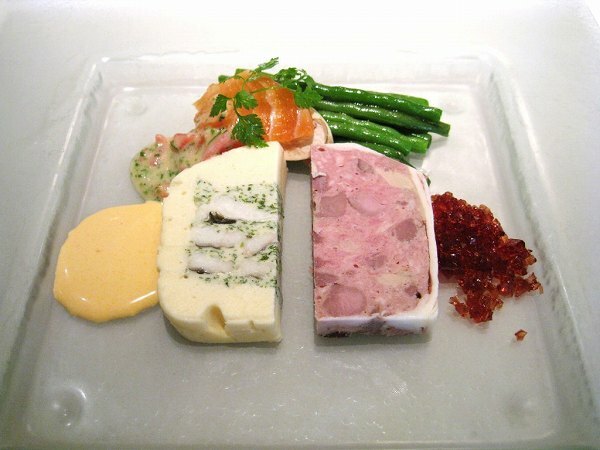 and their daily Terrine is another favorite of mine. 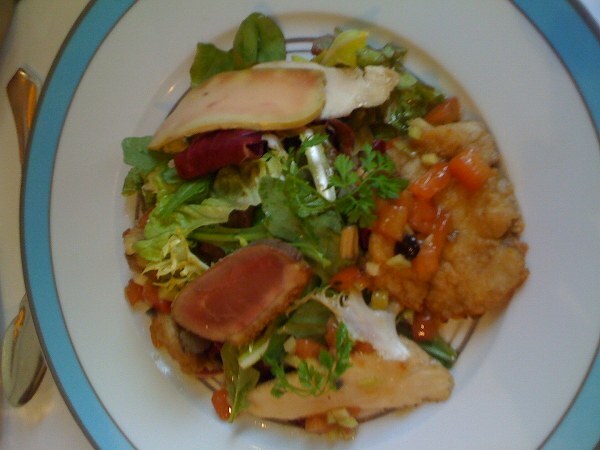 and Salad with various seafood. 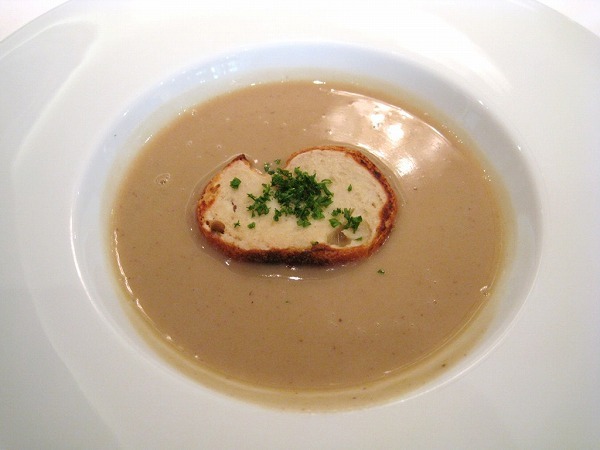 or Soupe Du Jour (Soup of the Day), like the above which is Chestnut Potage. 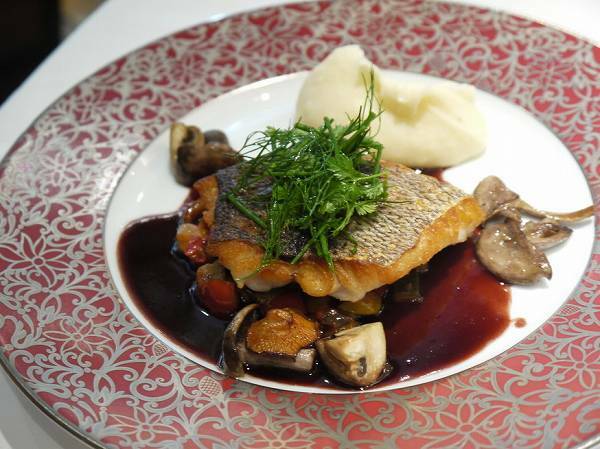 or Escalope de bar au basilic (Seabass in basil flavor) are my favorites. 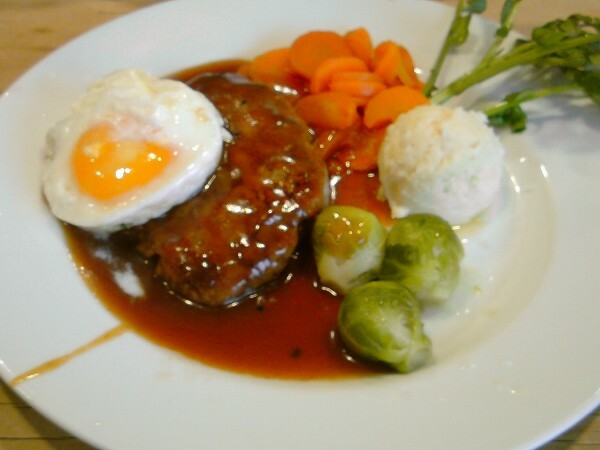 If you're not having Noisette d'agneau en eroute "Maria Callas" (Lamb Pie Maria Callas Style) another good dish is Carre d'agneau noti a la Dijonnaise (Roast lamb Dijon style). 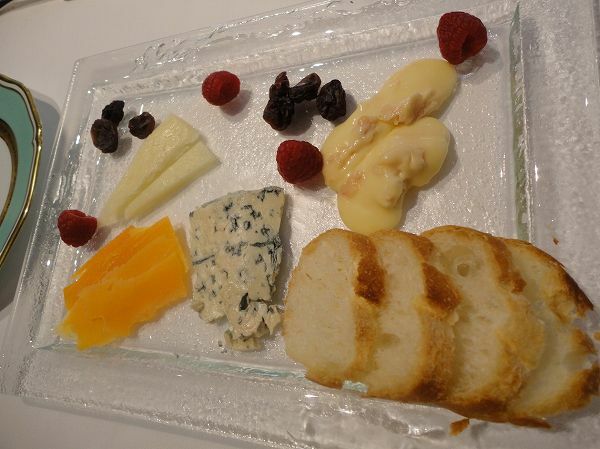 And when you are done with your main dish, one of the waiters will bring the cheese wagon. 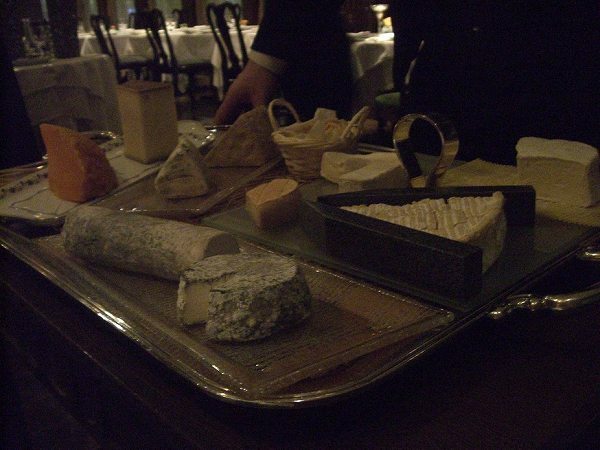 It would be a sin not to have cheese at any top french restaurant. Also, you can't skip dessert as well. 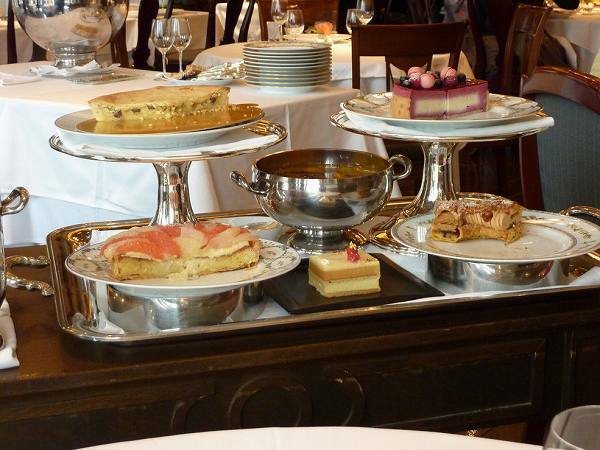 You want to choose several cakes in small portions. 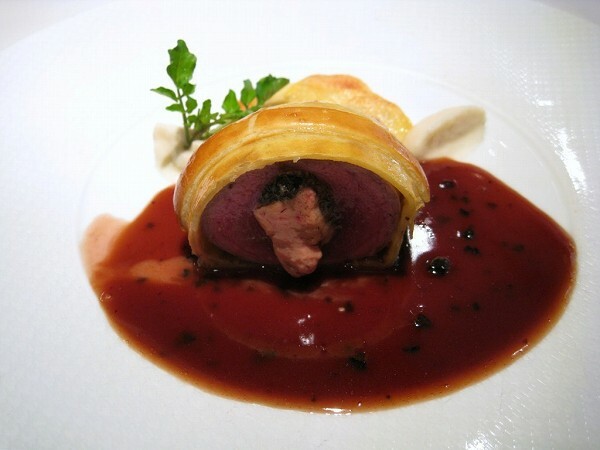 If you want to choose the course menu go with Menu C, which is the most expensive one at 21,000 yen, but the only one which includes Chef Inoue's specialite Noisette d'agneau en eroute "Maria Callas". They have a fantastic wine selection with an experienced sommelier. 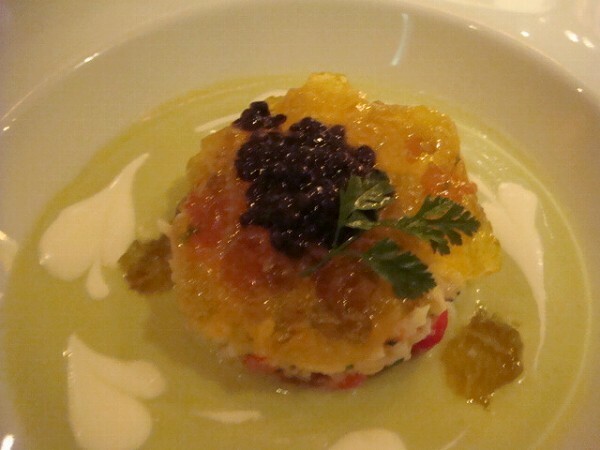 So if it's a special occasion or you are on a date to impress a person, I strongly recommend choosing Chez Inno. 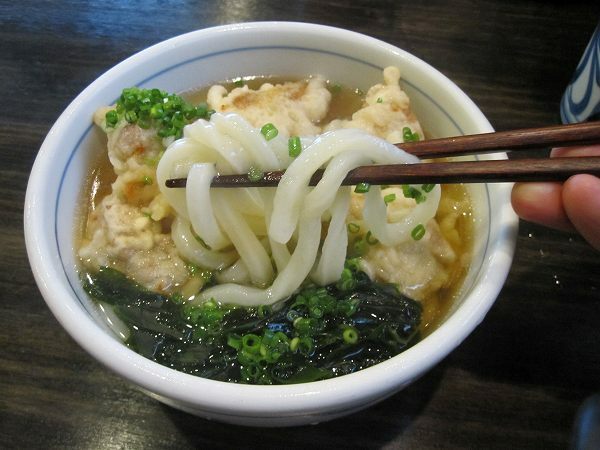 There weren't many Sanuki Udon restaurants in Tokyo, but ever since a movie about Sanuki Udon played a couple of years ago, a few have opened over the last 5 years. 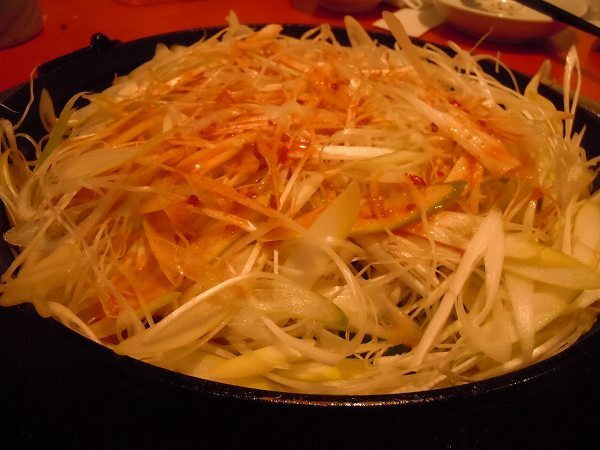 But probably the most famous one and considered the best to many is SUMITA at Akabane. 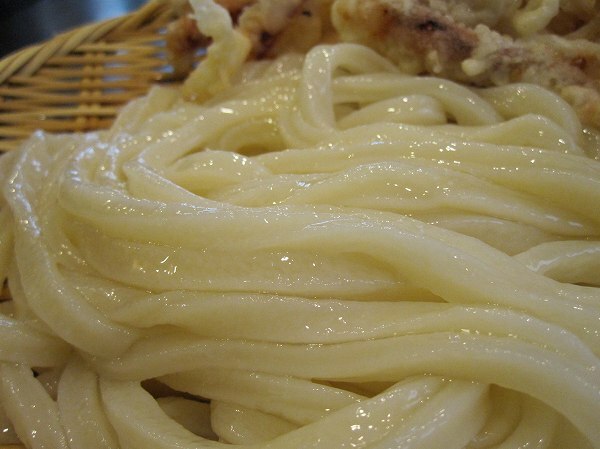 Sumita has been open for over 10 years and just until a couple of years ago it was the only Sanuki udon restaurant which served real Sanuki udon. 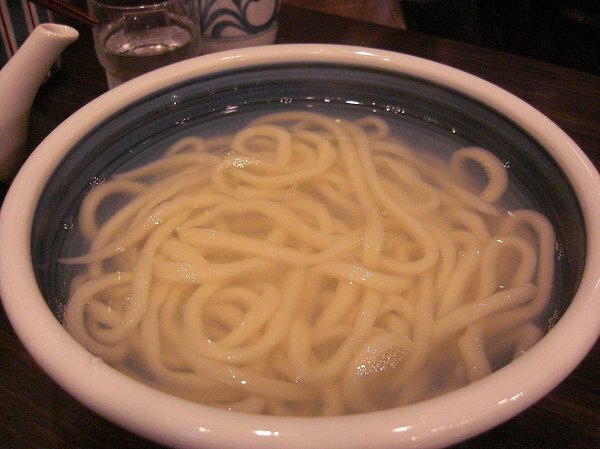 So whats Sanuki udon different from other udons? 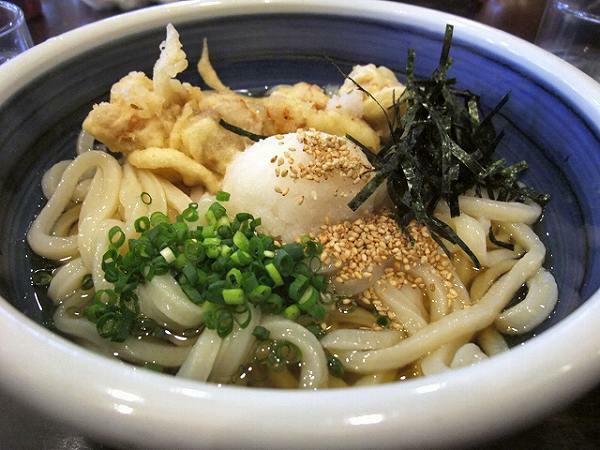 Well, broth is made out of dried sardines and kelp, but a great Sanuki udon actually shines like the above picture. 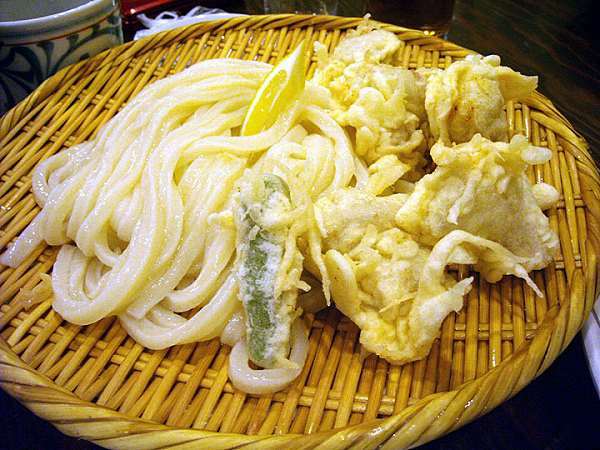 KASHIWA ZARU (Cold Udon and separate dipping sauce with Chicken Tempura) for 800 yen. 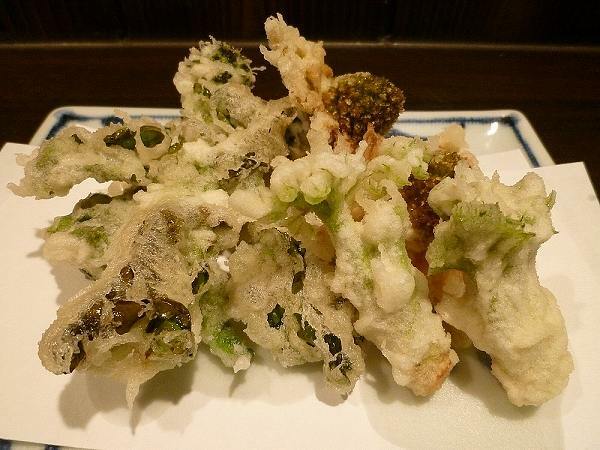 Kashiwaten (Chicken tempura) is available only at Sanuki udon restaurants and if you never had it before its a must. 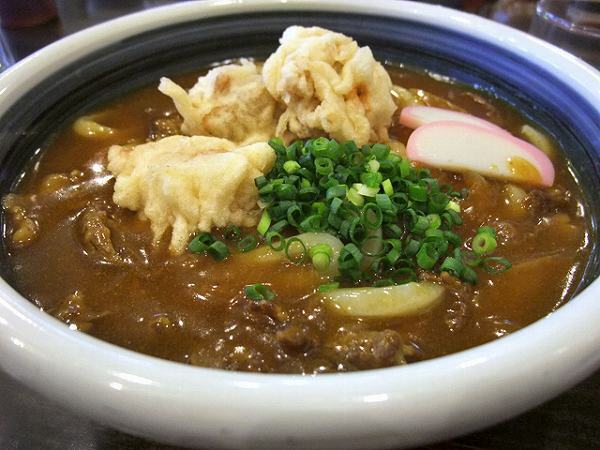 or CURRY UDON (Hot Udon with Curry) for 850 yen. 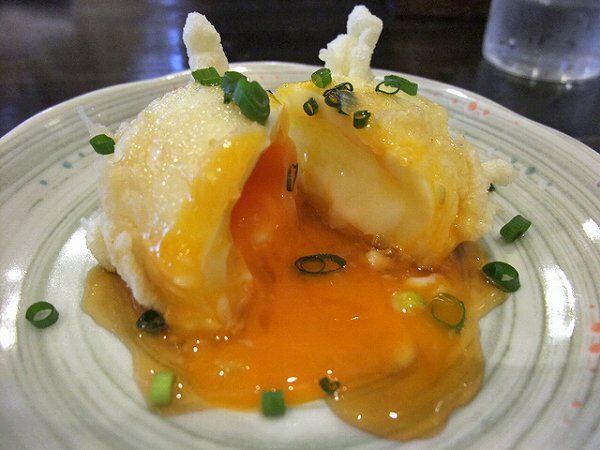 or HANJUKU TAMAGO (Soft Boiled Egg Tempura) for 250 yen. 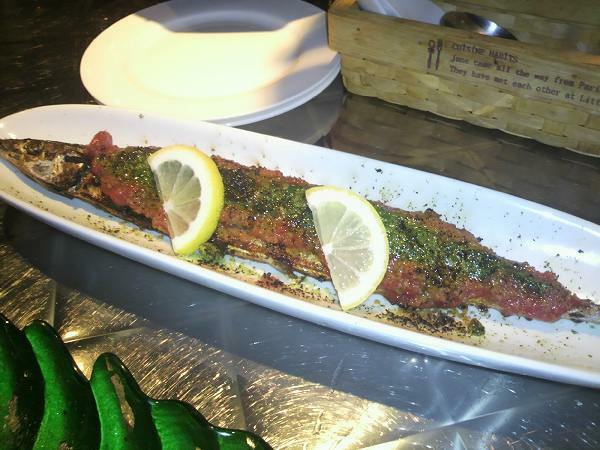 If you're going to Sumita during lunch time (between 12am-1pm) expect a decent wait until you get a table. Also there is nothing really to do or to see where Sumita is. 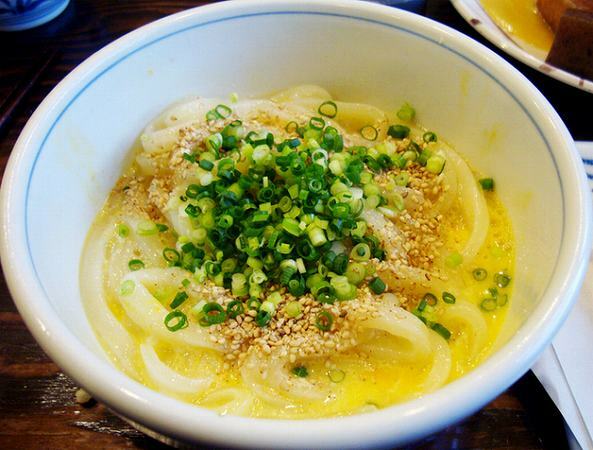 So unless you enjoy udon it might not be worth the trip, but if you do enjoy Sanuki udon and want to have one of the best in Tokyo, its worth the trip. Its about 90 minutes away by car from where I live, but I go at least once a month. 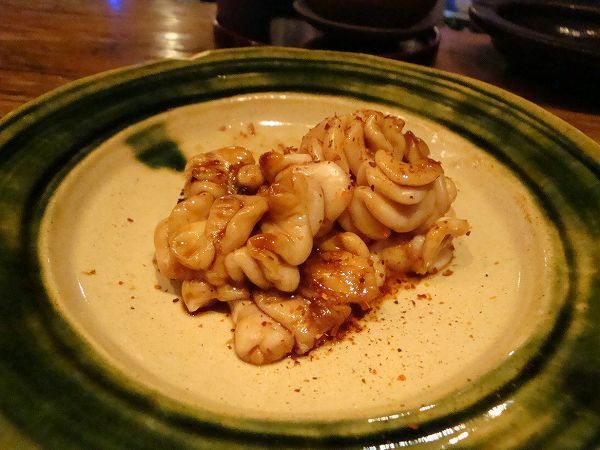 If you love garlic and want to eat tons of it, but not Korean food, try NINNIKUYA in Ebisu. 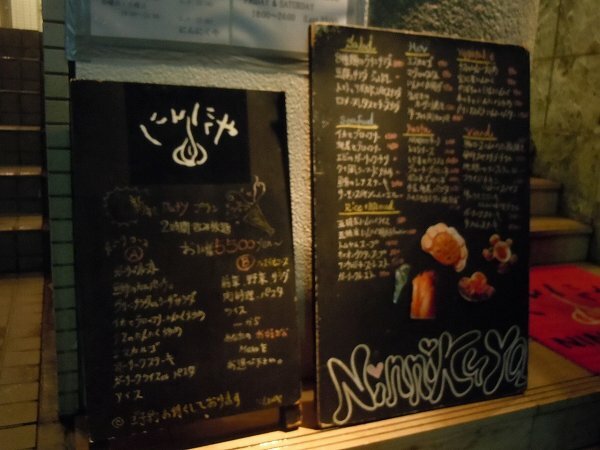 Ninnikuya means garlic shop or restaurant and almost every dish they serve has tons of garlic in it. Most people order GARLIC TOAST for 550 yen. There is huge amount of garlic butter inside and on top as well. 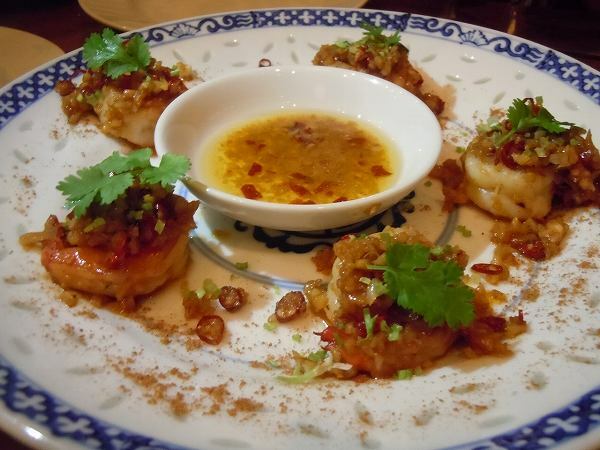 Another popular dish is EBI NO GARLIC CHILI (Sauteed Prawns with Garlic and Chili) for 2,090 yen. This is good for a starter and you can share it with others. 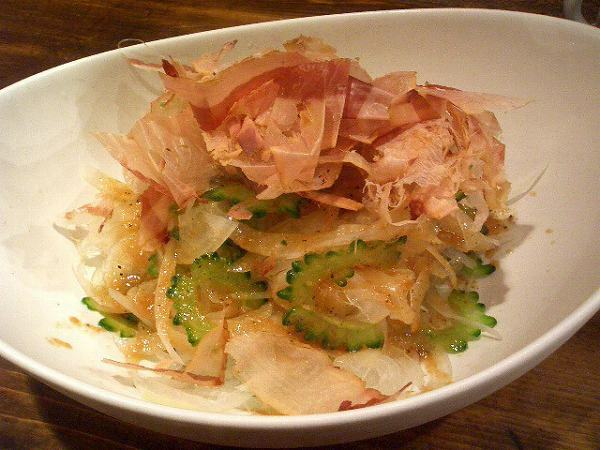 If you like sashimi with garlic try CARPACCIO which is between 1,200-1,500 yen. Price depends on the type of fish they was available at the market. 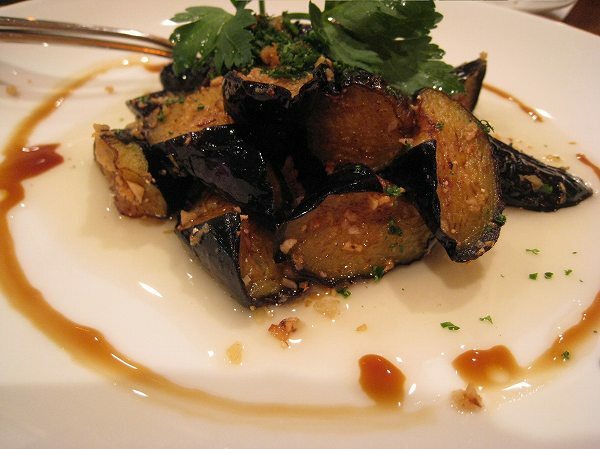 NASU NO NINNIKU ITAME (Eggplant with Garlic Olive oil) for 990 yen is another popular dish. 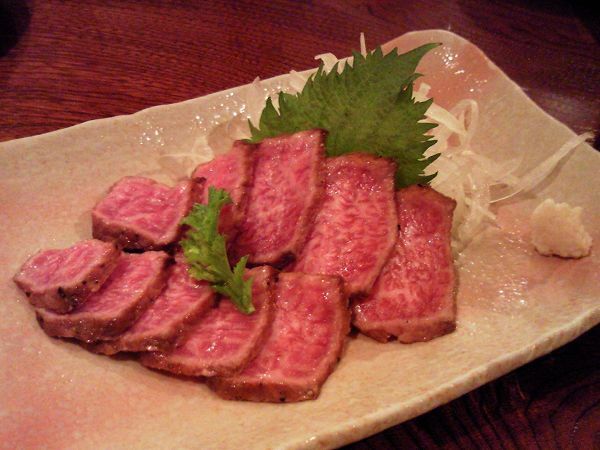 and my favorite GARLIC STEAK for 2,750 yen. 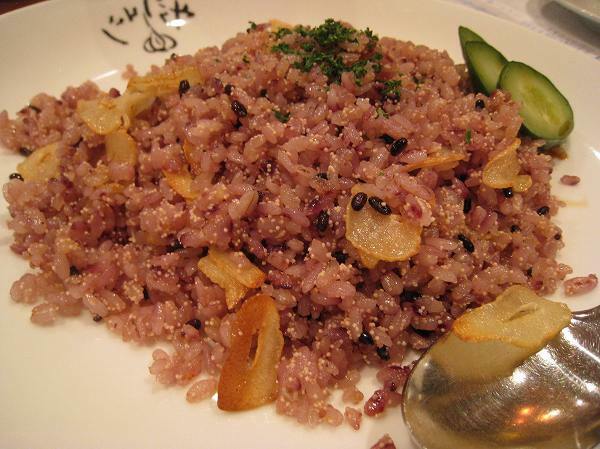 or GARLIC RICE MIX (Mixed Garlic Rice) for 1,100 yen are popular if you want garlic in your carbs as well. 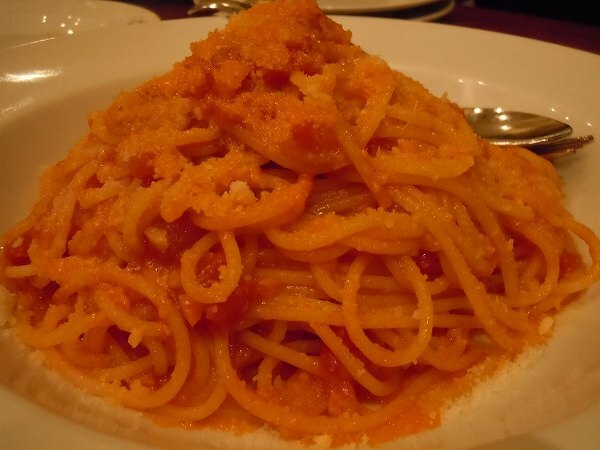 There are some non-garlic dishes which are delicious like Salmon Cream Pasta, but I suggest for you to stick with garlic dishes only since your mouth with be full of garlic and these non-garlic dishes will taste just as garlicky as well. They also have a branch in Honolulu, but it tastes a little different and the main restaurant in Ebisu is so much better. Ever since a former famous comedian became Governor of Miyazaki a couple of years ago, he became a true spokesman for anything out of Miyazaki including its food. 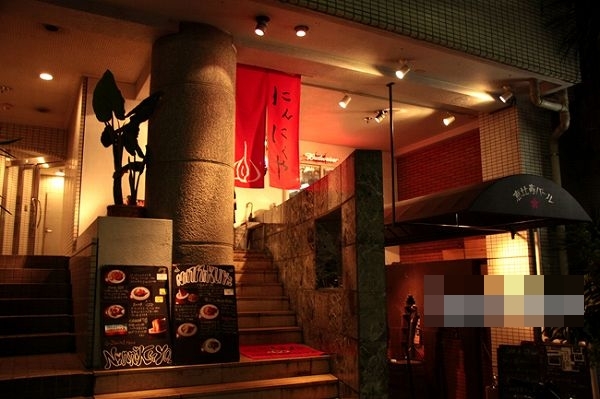 Many Miyazaki restaurants have opened in Tokyo since, but probably the most famous one that people from Miyazaki go to is TAMOIYANSE at Shibuya. 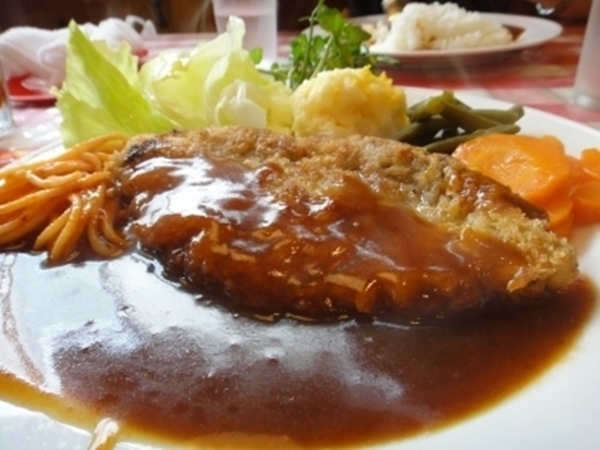 Miyazaki is known for its seafood, chicken and beef. 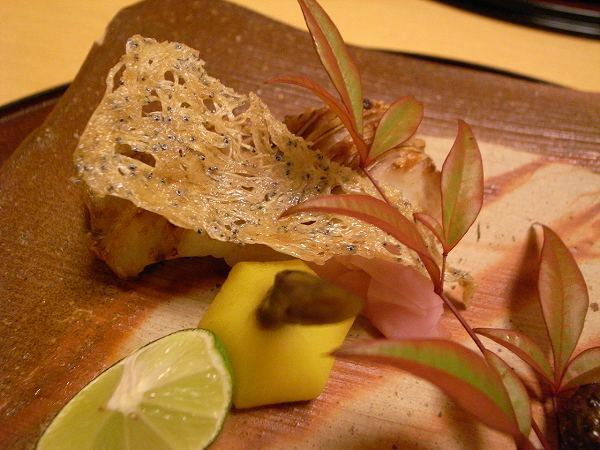 So what dishes are Miyasaki food? 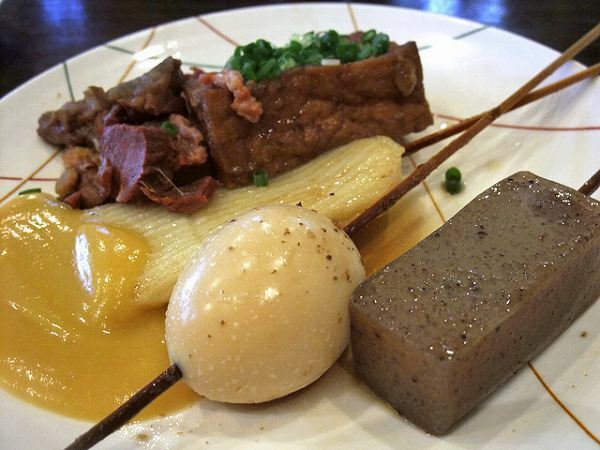 There are probably 3 dishes that you must have at Tamoiyanse or any Miyazaki restaurant. 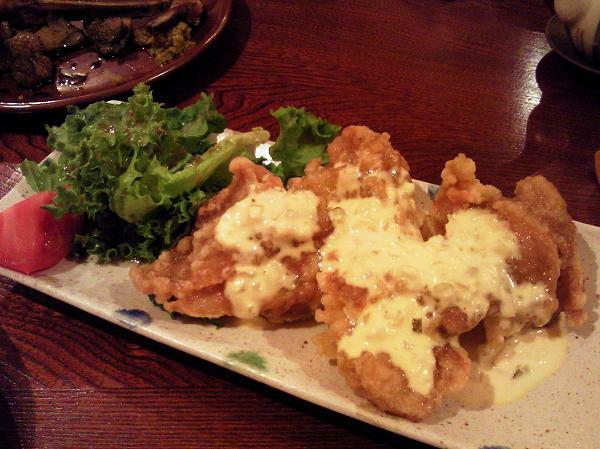 One is CHICKEN NANBAN (Fried Chicken dipped in a sweat & sour sauce with Tartar Sauce) for 890 yen. 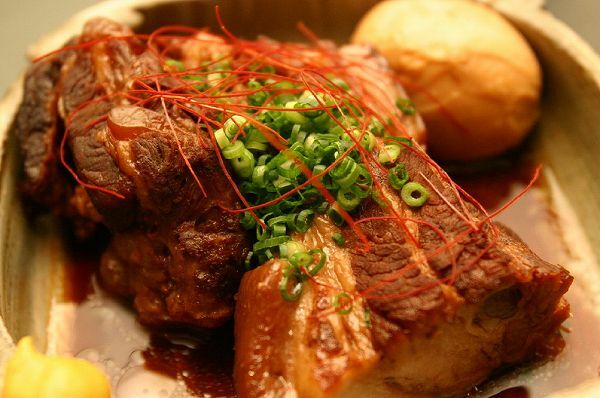 Its the soul food of Miyazaki. 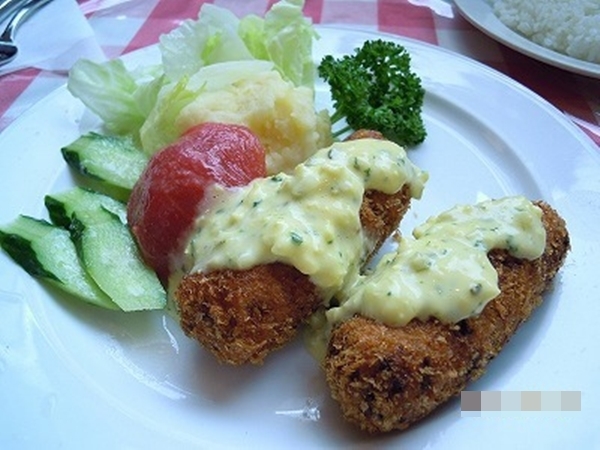 Chicken thighs cover with a light batter is deep fried and dipped into a sweat & sour sauce for a few seconds and tartar sauce is added on top. From kids to adults everyone loves this. 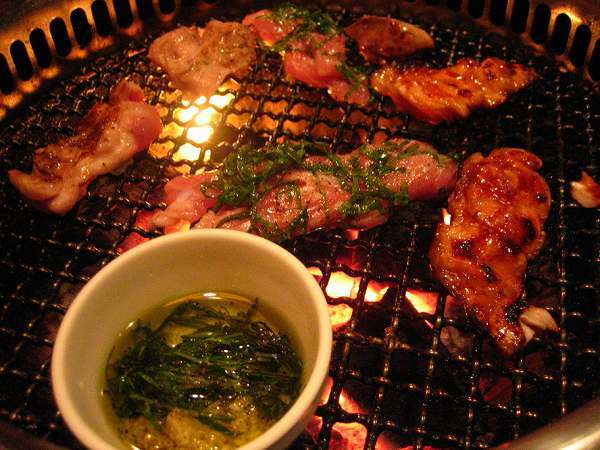 My favorite is MOMOYAKI (Charcoal grilled chicken thigh) for 1,370 yen. 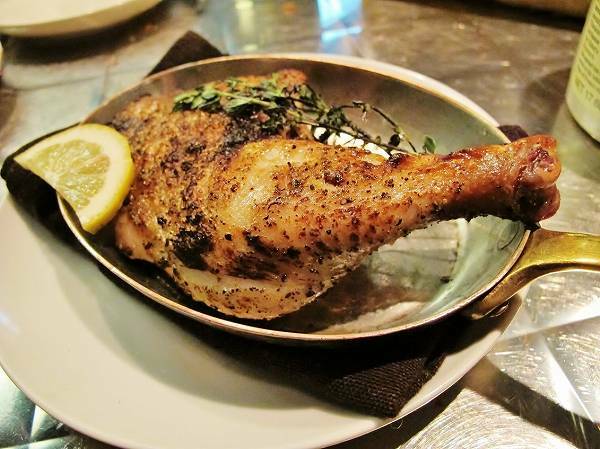 Chicken thigh is cut into pieces cooked directly over a charcoal grill with some salt and butter. This is why its a little black, but its fantastic. The chicken they use is a breed that is only produced in Miyazaki called Jidotko. 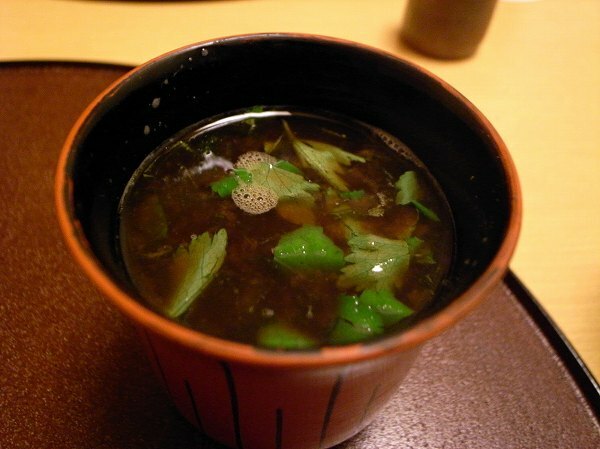 The 3rd dish is HIYAJIRU (Cold miso soup over Rice) for 720 yen. 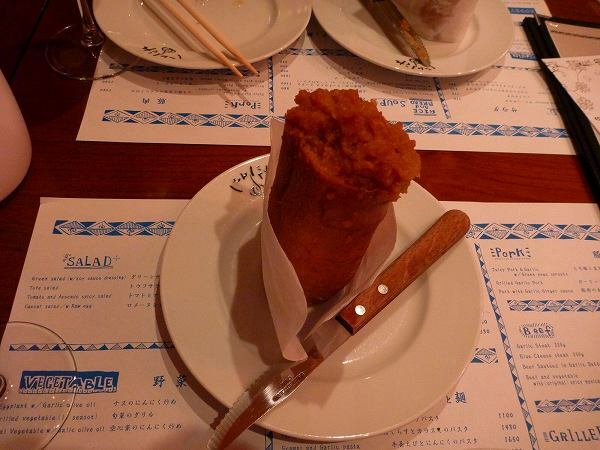 This was originally eaten only in the summer when people didn't have much of an appetite because of the extra hot weather in Miyazaki but now they eat it all year around. 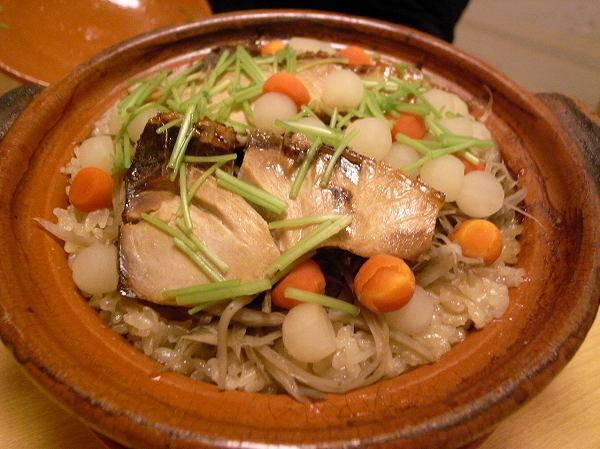 Whats different from a normal miso soup is that the miso is baked lightly before adding it to the bonito based broth. 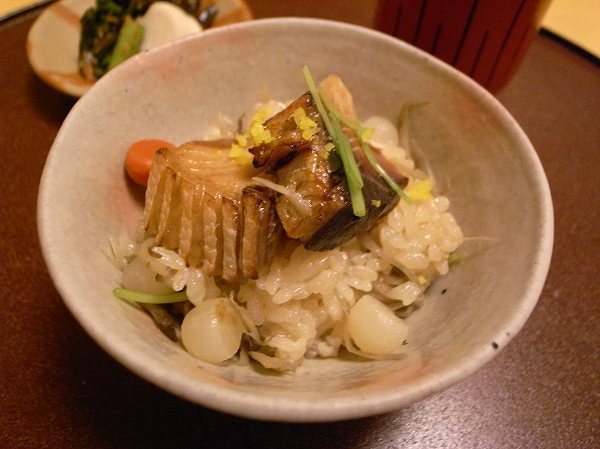 Once baked miso is added, some grilled semi-dried fish flakes and hand squashed tofu is also added. Once miso soup is cooked sliced cucumbers are added and its put in the refrigerator to be cooled down. And just before serving, some ice is added to make it extra cold. Finally, you pour it over a bowl of rice. 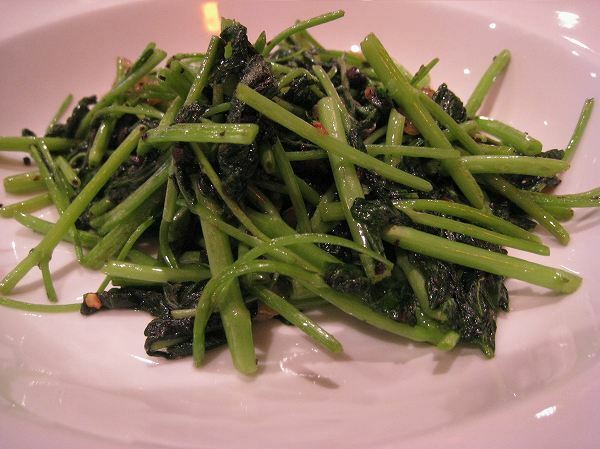 Its a great dish to have at the very end of the meal or even after some serious drinking when you are a bit hungry. 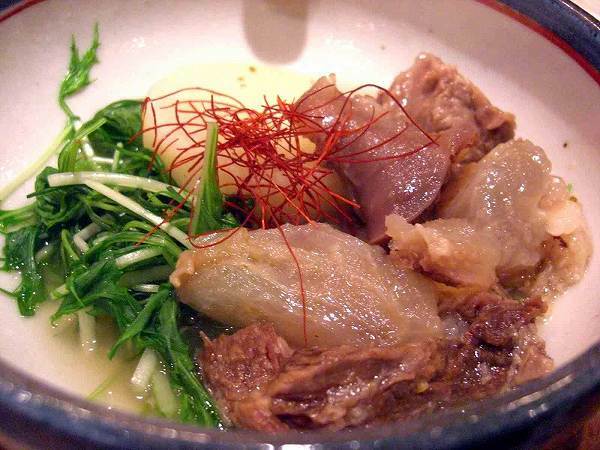 GYUSUJI TOH DAIKON NO ASSARINI (Beef Gristle & Japanese Radish stew) for 840 yen. or TAMOIYANSE SALAD (Tamoiyanse's original bitter gourd salad) for 580 yen, if you like bitter gourd. 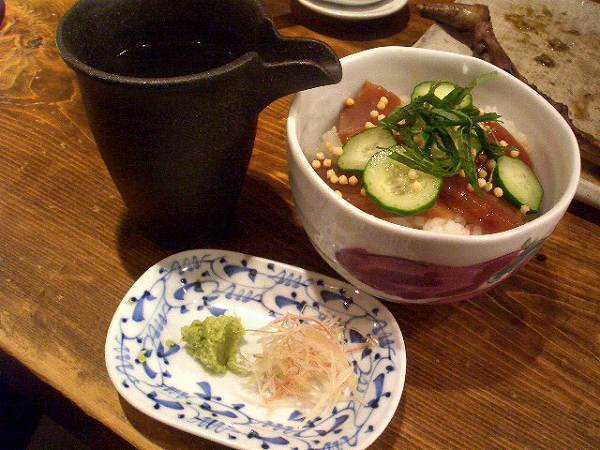 KATSUOMESHI (Bonito sashimi & soup over Rice) for 720 yen. 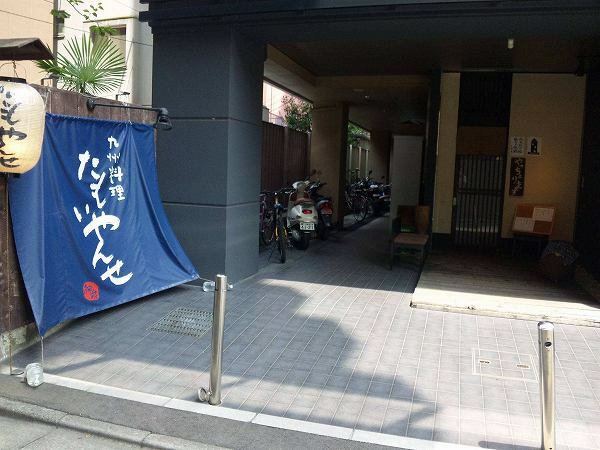 Taimoyanse is actually an Izakaya. 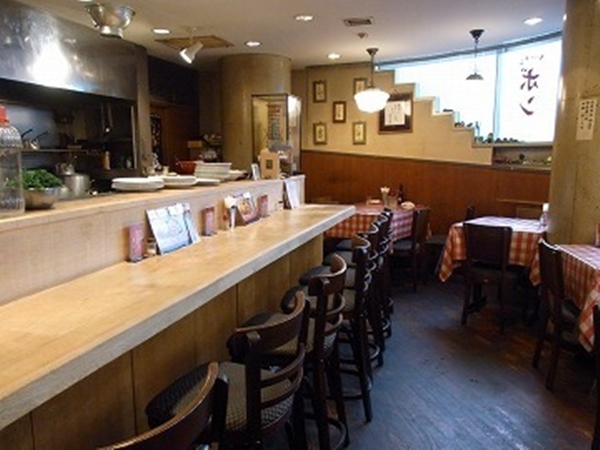 There are other Miyazaki restaurants in Shibuya and I have been to most of them, but Tamoiyanse by far is the best. 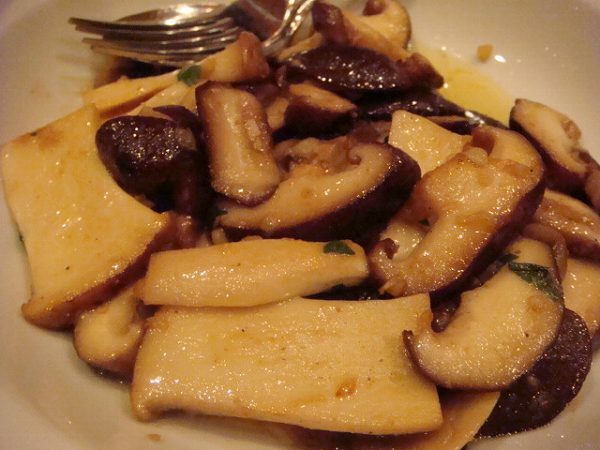 Unless you are a vegetarian, I can say that you will enjoy at least one dish at Tamoiyanse. Also, they have a wide variety of Shochu from all over Kyushu as well. This Yoshoku restaurant (Japanese style Western food) has been open for more than 50 years and was where many celebrates of 60- 80's ate at. Celebrates like Akira Kurosawa, Yujiro Ishihara, Shigeo Nagashima and especially Hibari Misora were regulars. 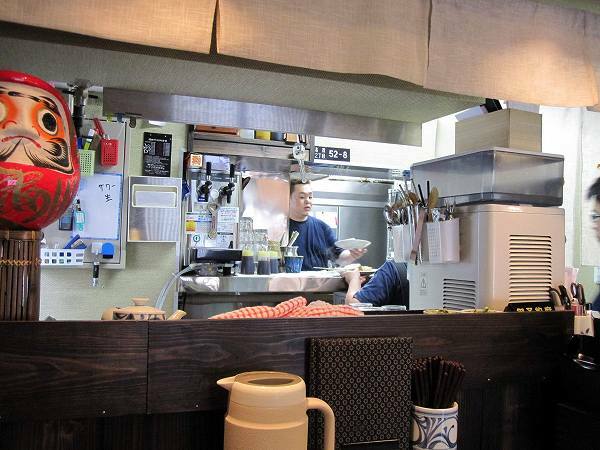 KITCHEN BON at Ebisu is still one of the finest yoshoku restaurants in Tokyo. 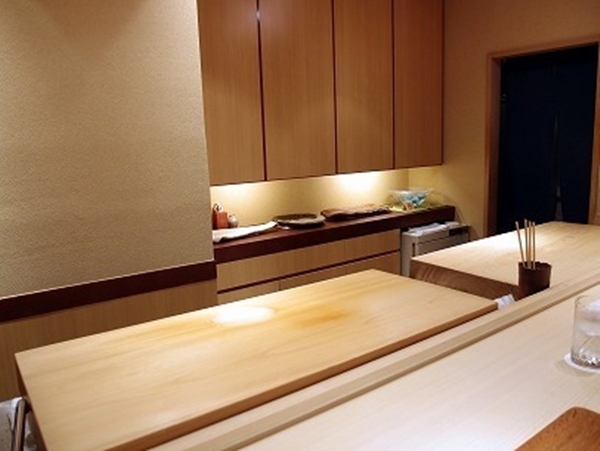 Compared to other yoshoku restaurants Kitchen Bon is expensive. They use only the best ingredients available at the market just like a 3 star Michelin restaurant. 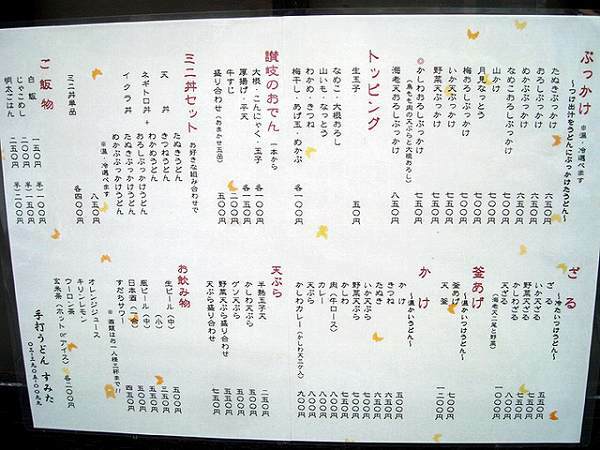 Because of this prices are usually double of other yoshoku restaurants. 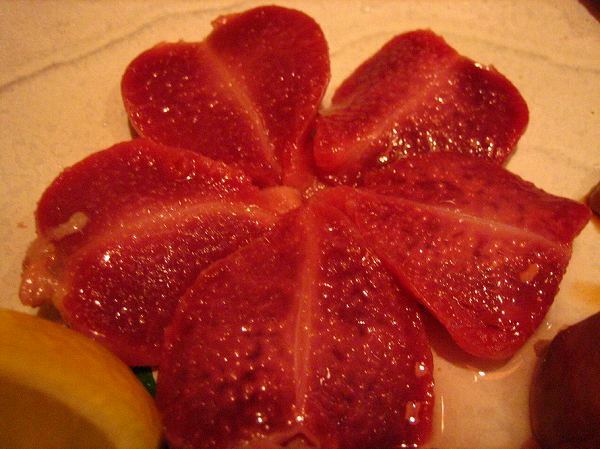 If there is one signature dish that will be Borusichi (Borscht) for 1,470 yen. 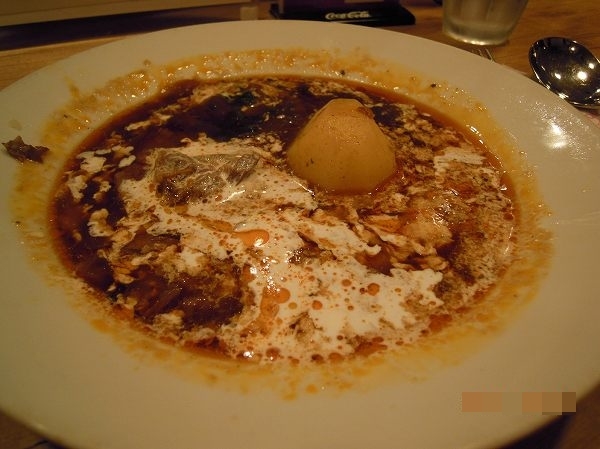 Borusichi is a Russian soup/stew. It is arranged from the original Russian version. You can order bread or rice with it and have it as your main dish, but I usually order a half size so I can have it more like a soup. 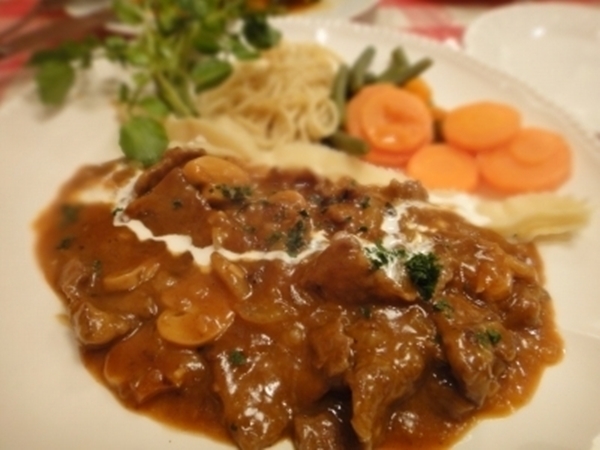 BEEF STROGANOFF for 3,700 yen. 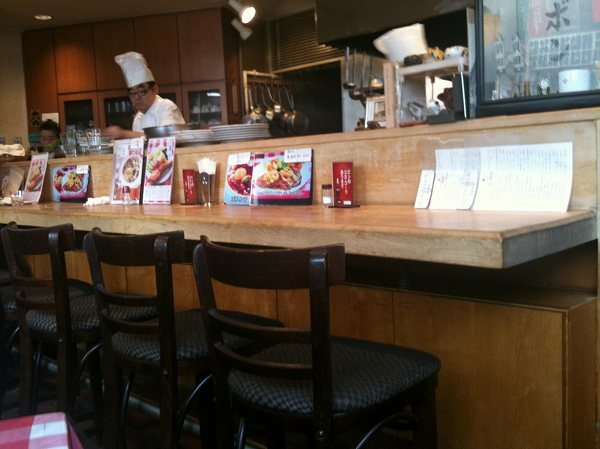 They do have a lunch menu which is a little cheaper than the above, but the number of items are limited. 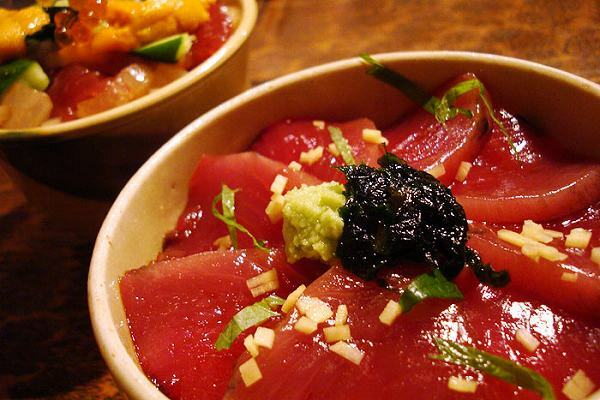 Because of the price range it may not be a yoshoku restaurant for daily use, but if you want great yoshoku food, Kitchen Bon is a must place to dine in Tokyo. I have recommended Kitchen Bon to over 100 people and none of them complained about the food. 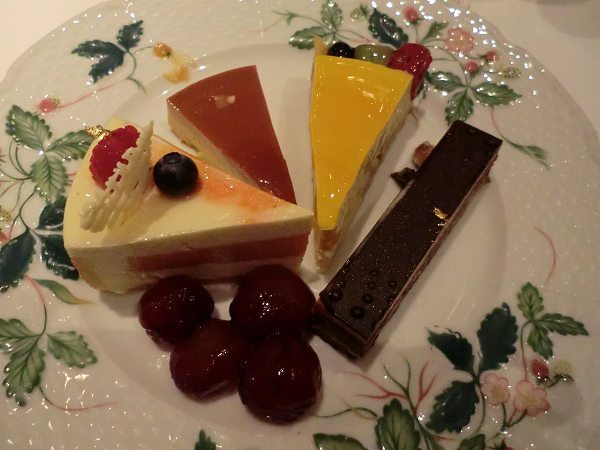 And also their deserts are simple but delicious as well.